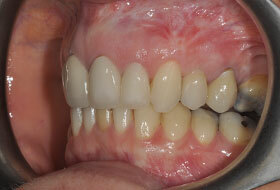 All the treatment photographs on our website are from actual cases treated by Devonshire Dental Care dentists. 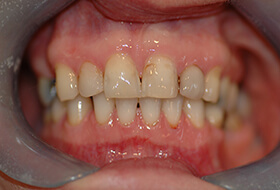 Treatment carried out by Allan Rennie in under 14 months. 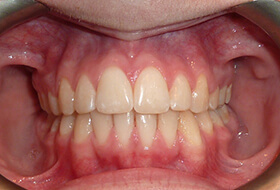 Treatment of gum disease followed by tooth whitening and veneers. 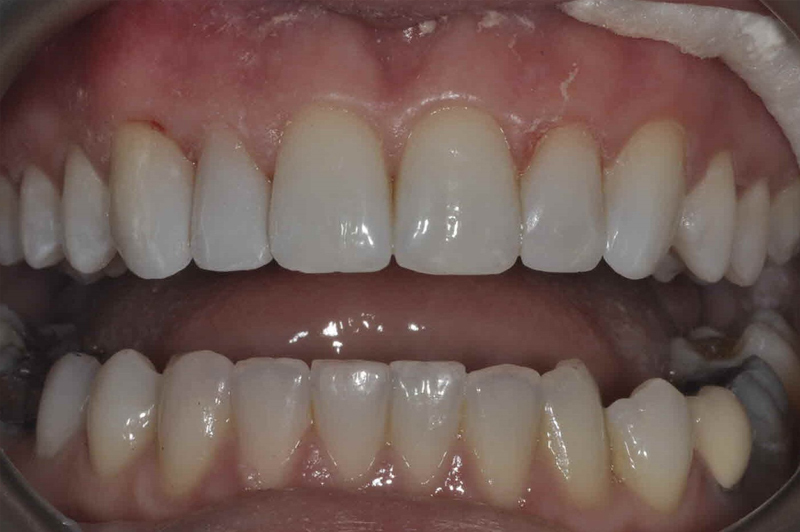 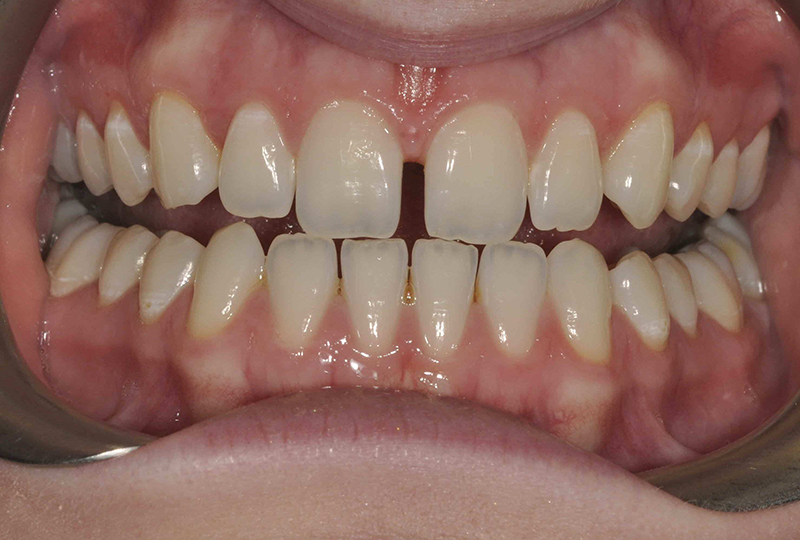 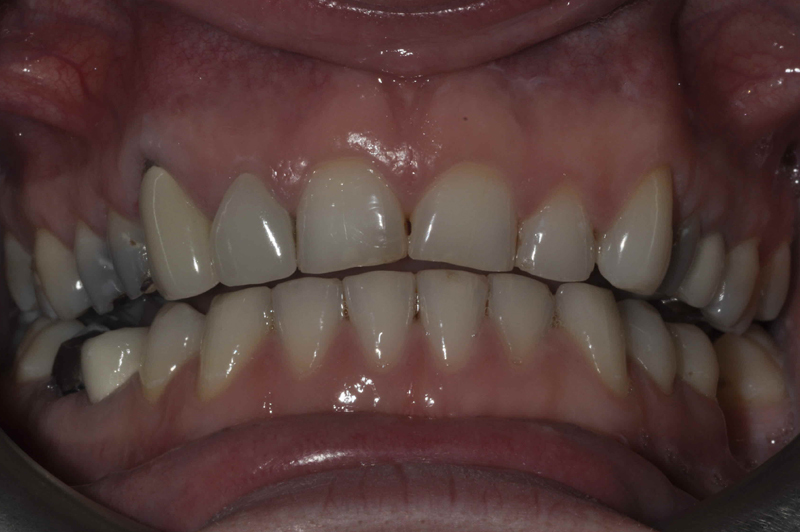 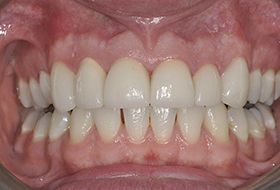 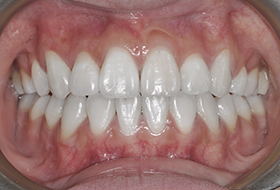 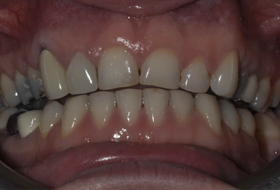 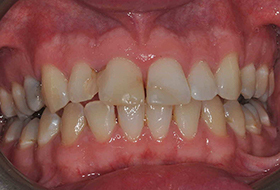 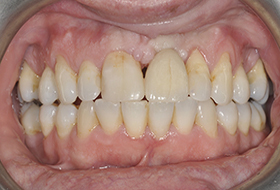 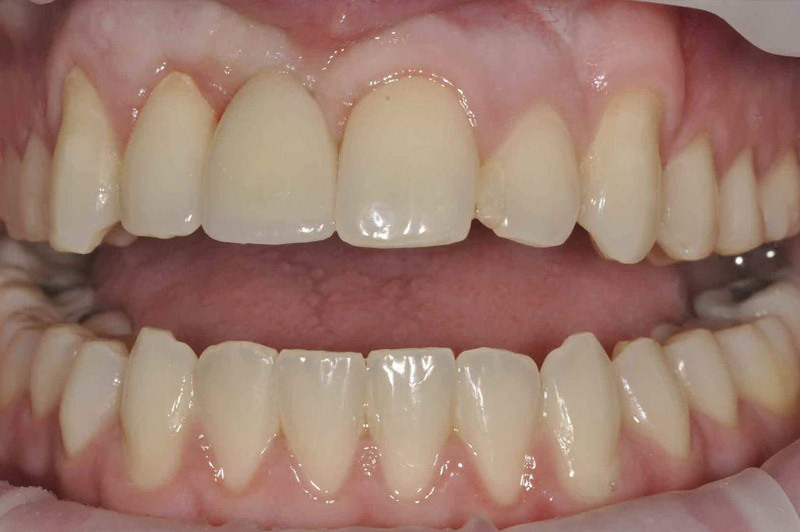 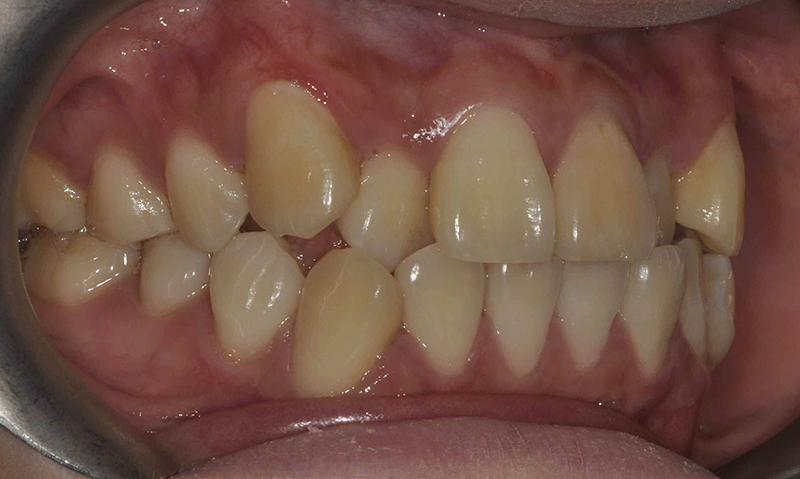 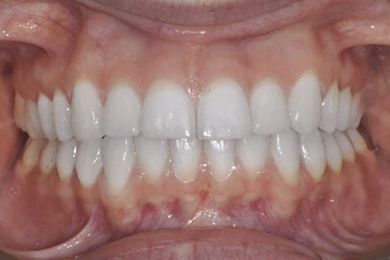 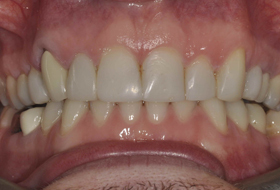 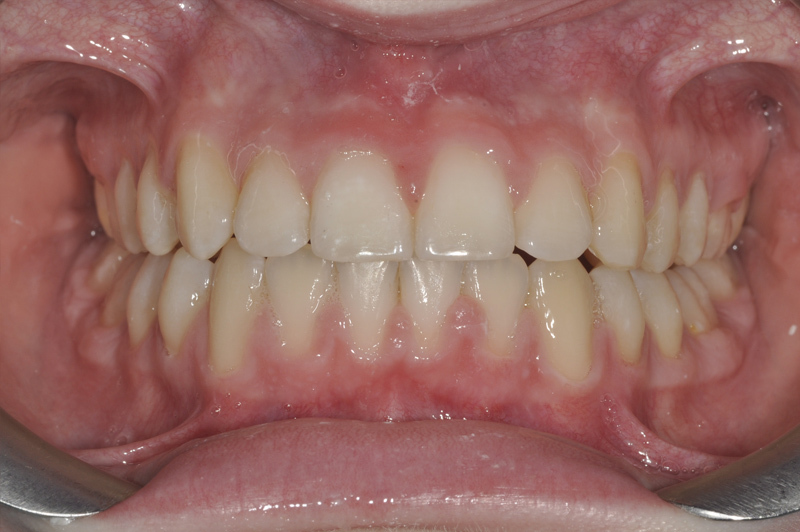 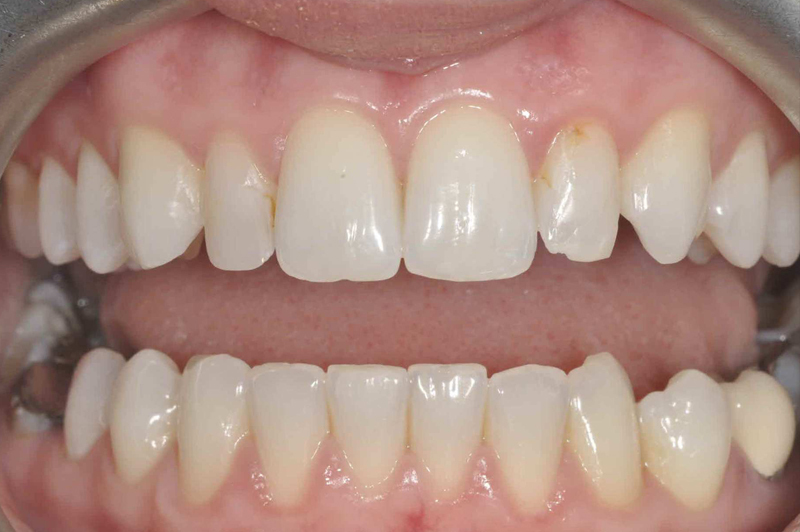 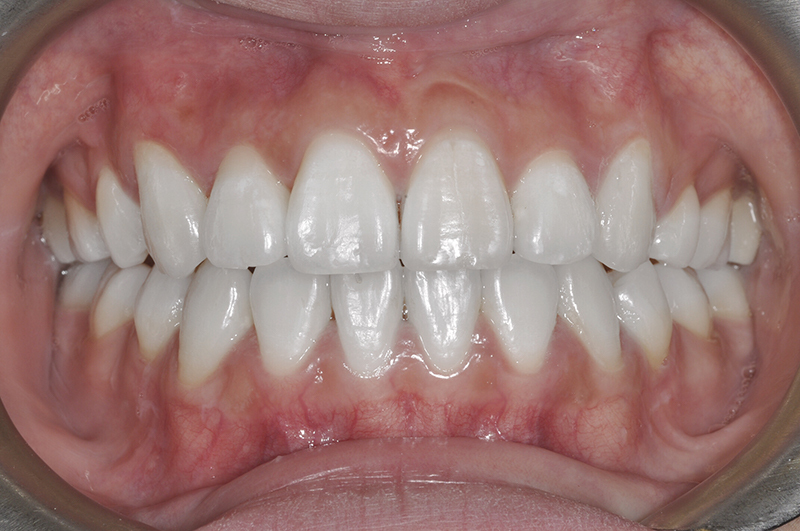 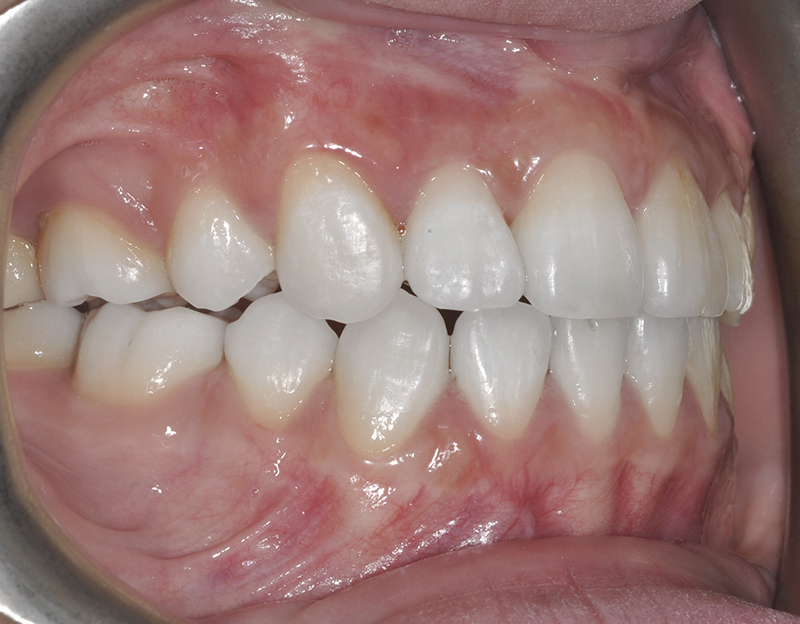 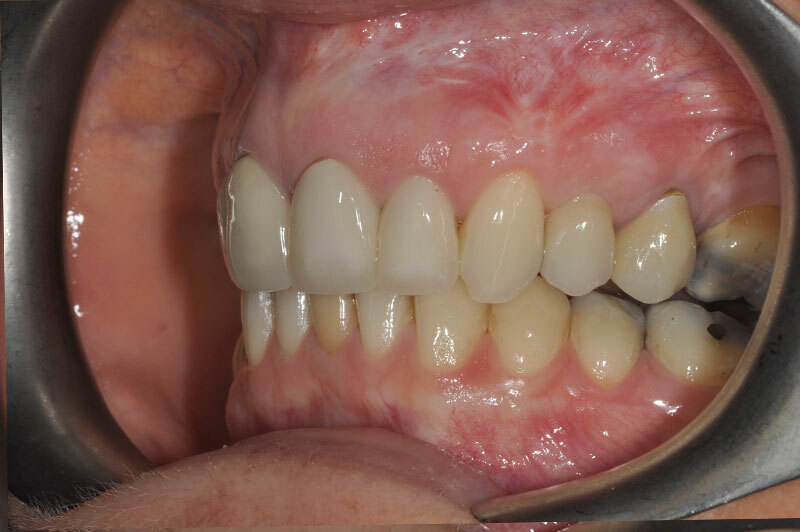 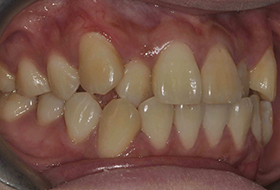 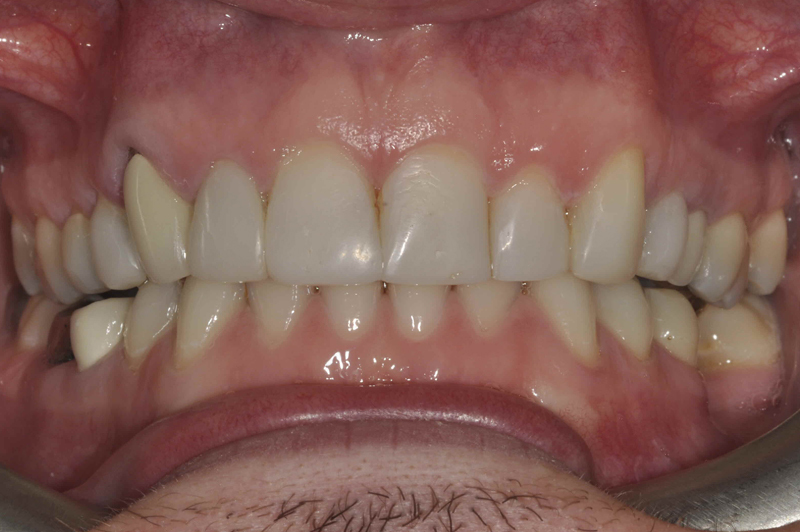 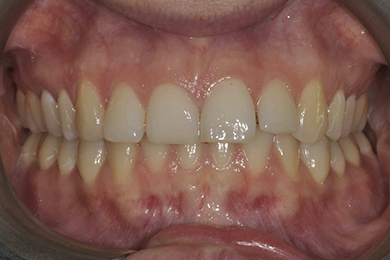 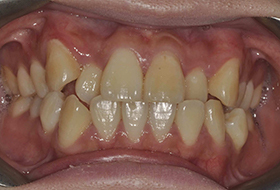 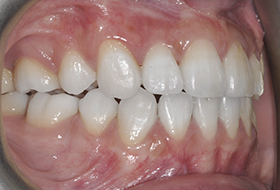 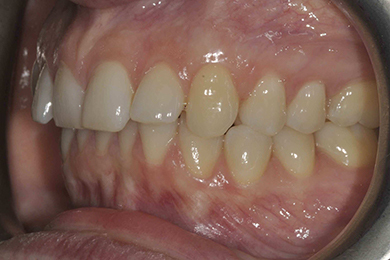 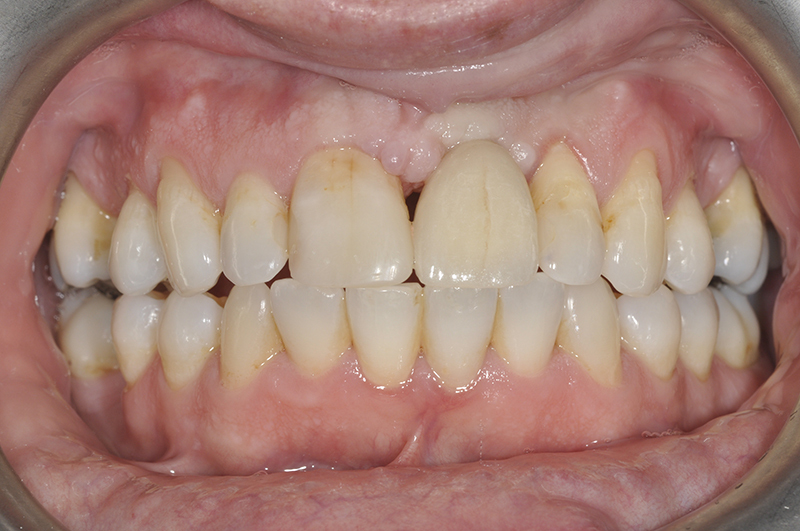 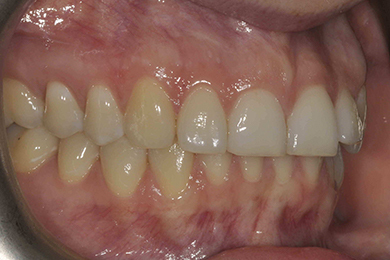 This case involved teeth whitening followed by a porcelain bridge in the patient’s upper rights side and then some upper front veneers. 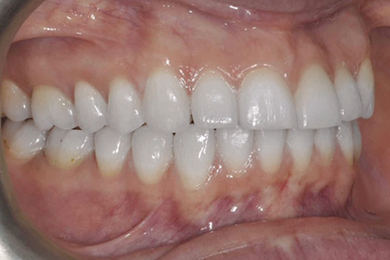 All work done by Allan Rennie. 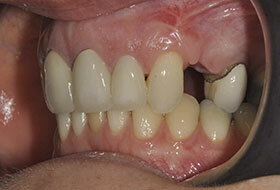 Upper and lower fixed orthodontic braces treatment carried out over 14 months by Allan Rennie. 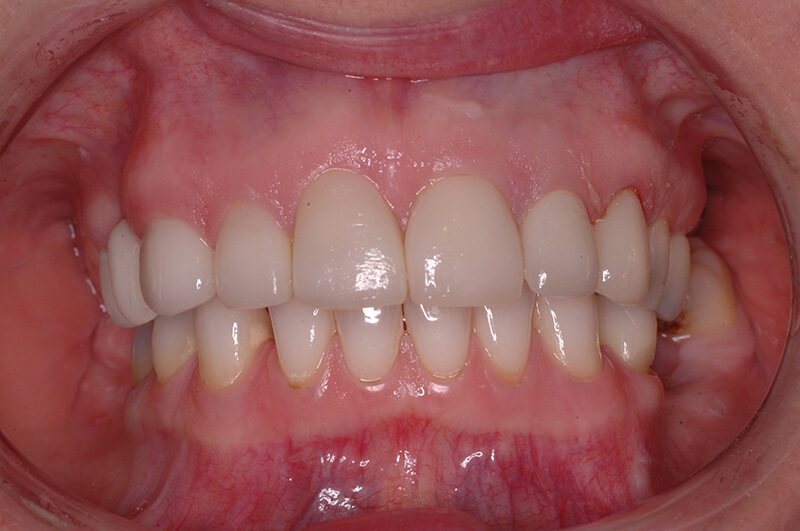 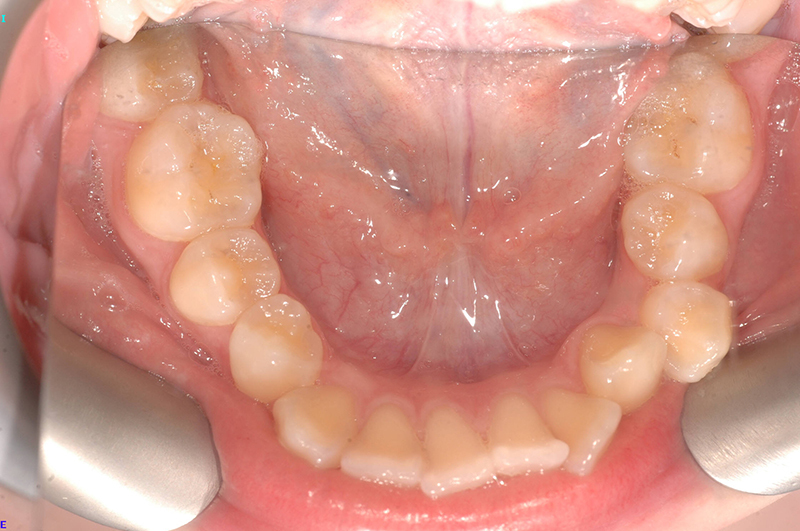 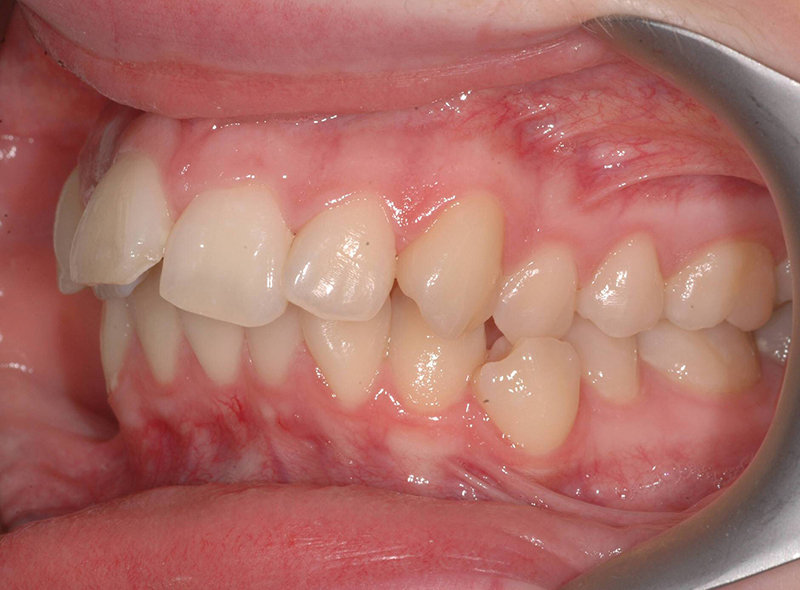 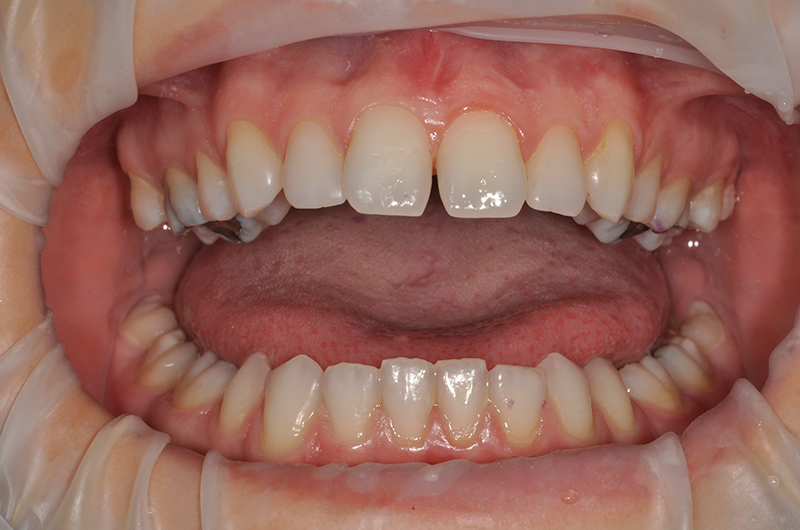 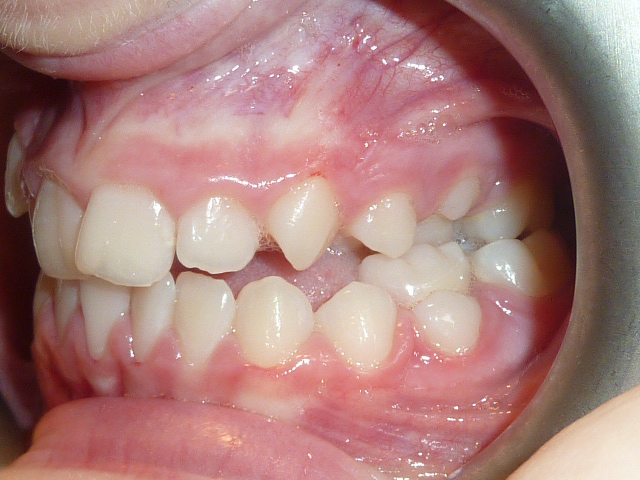 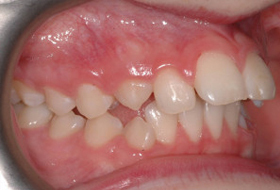 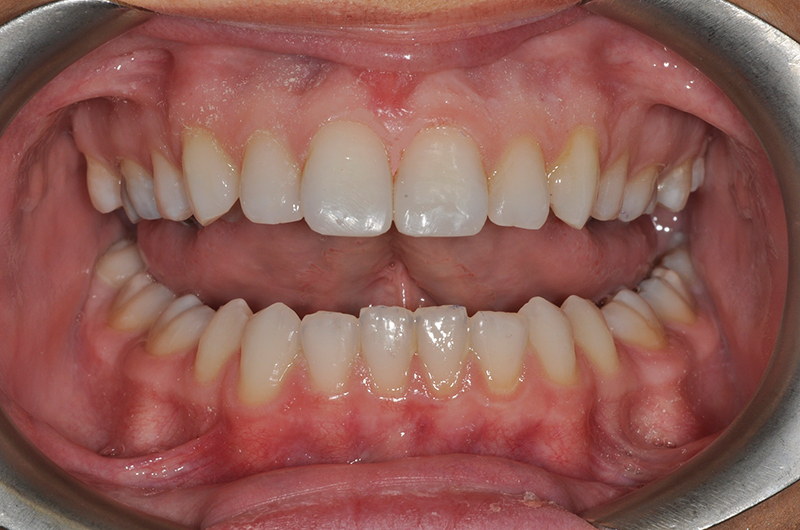 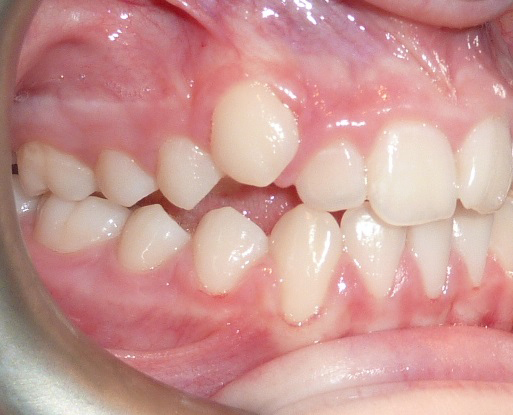 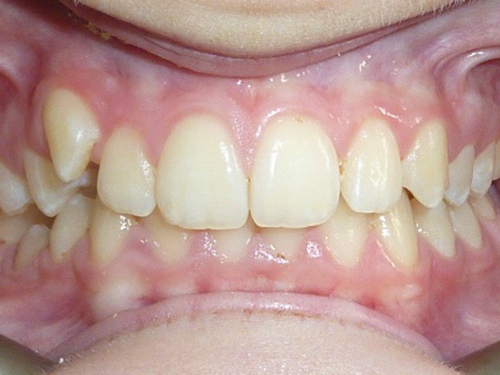 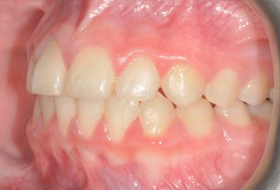 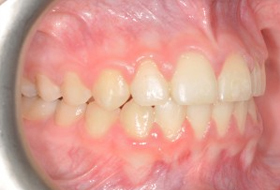 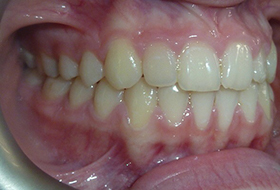 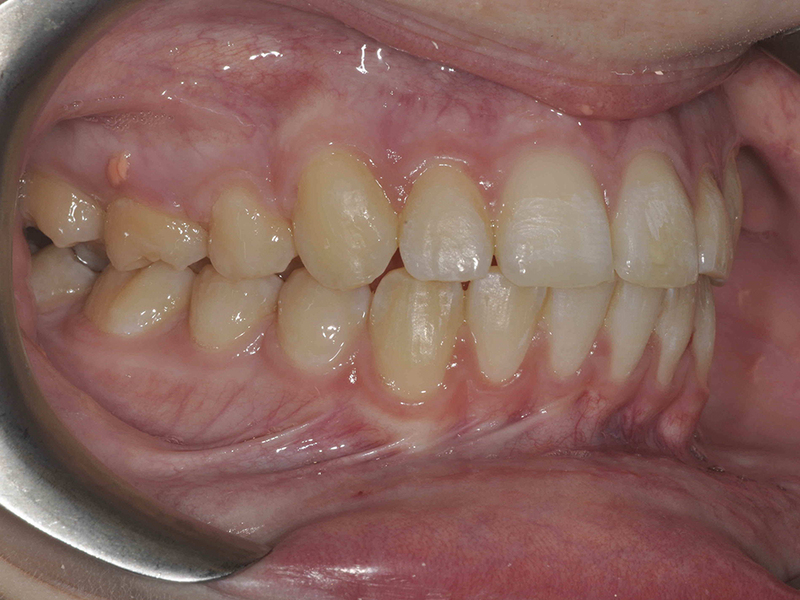 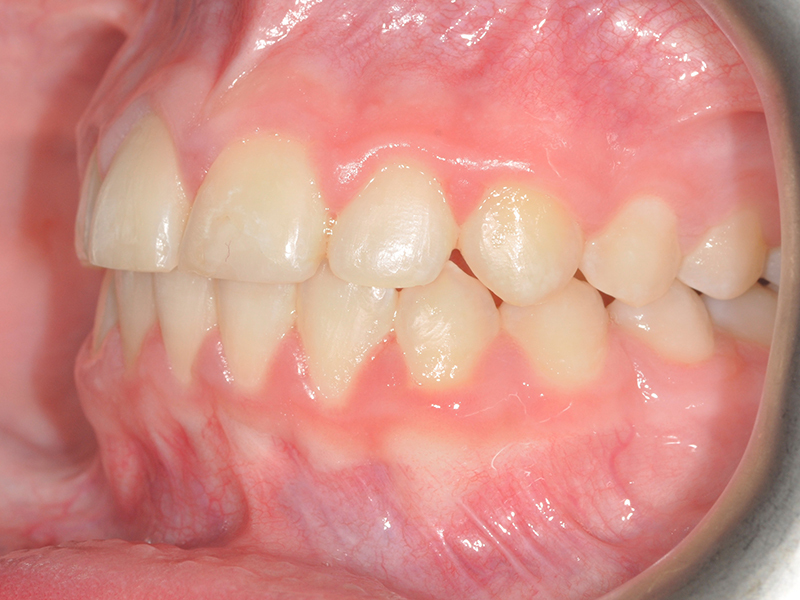 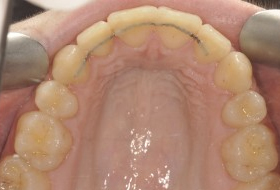 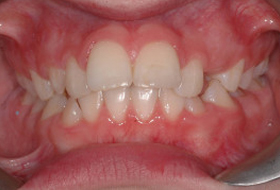 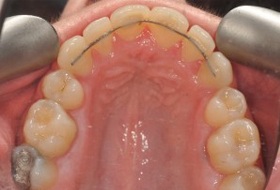 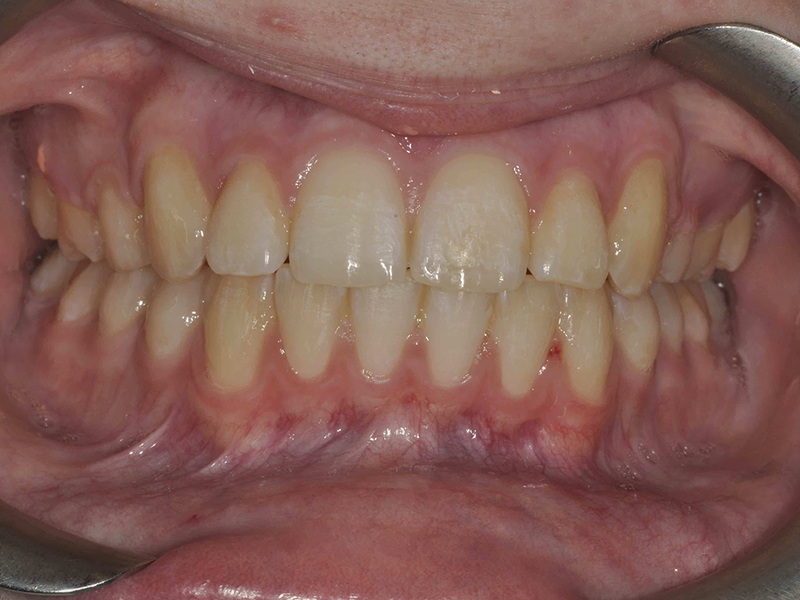 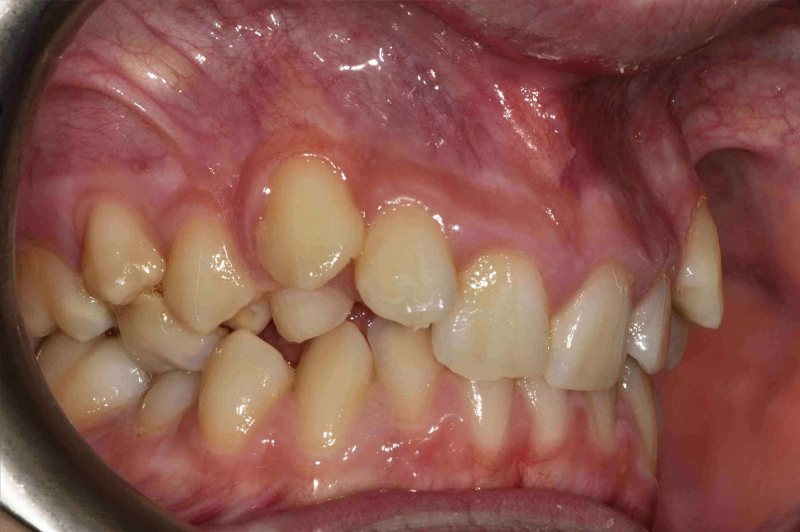 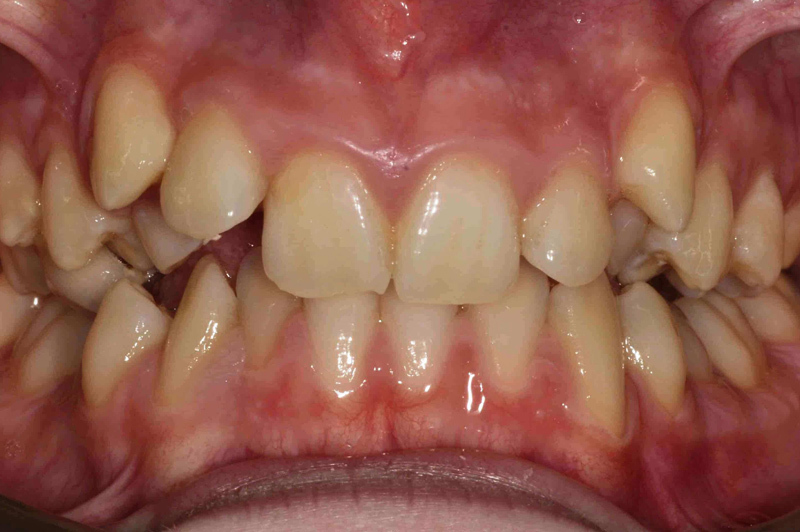 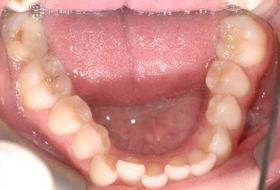 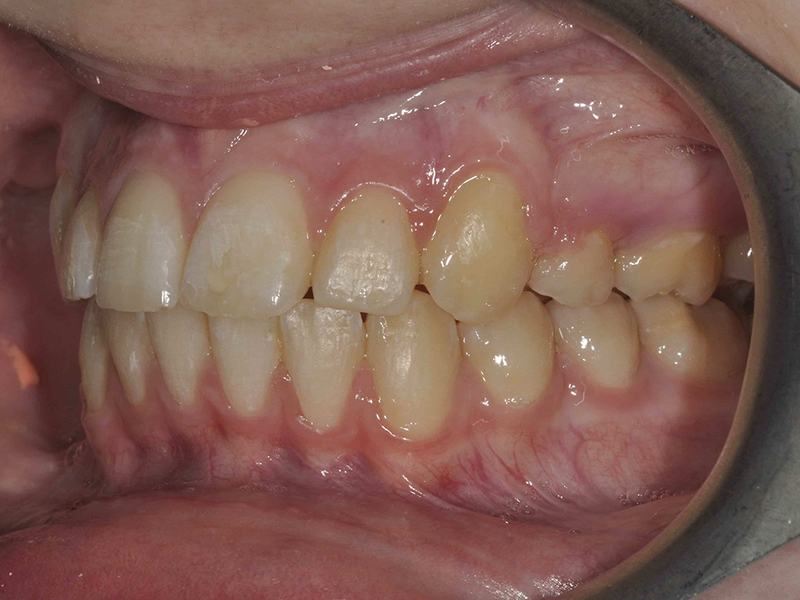 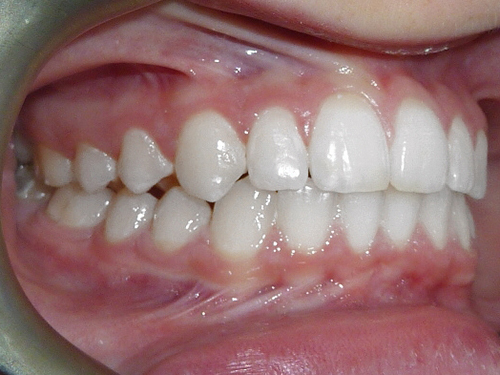 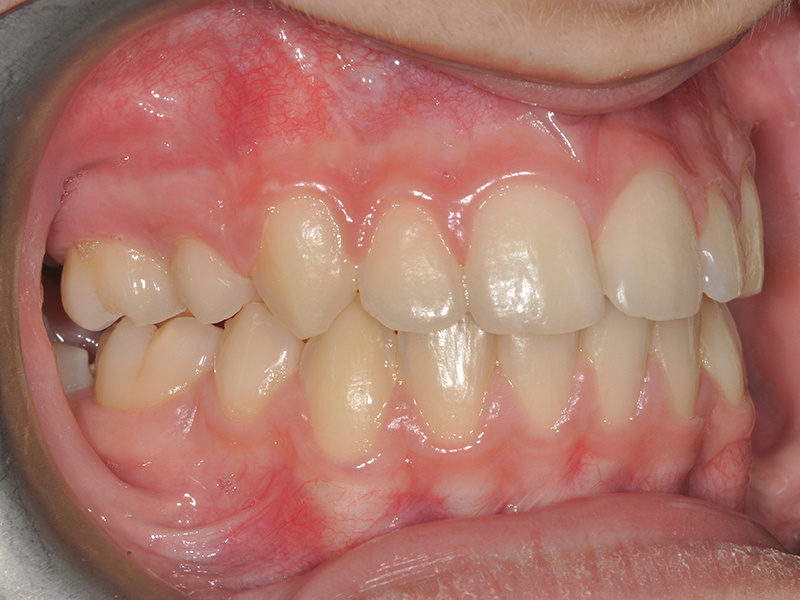 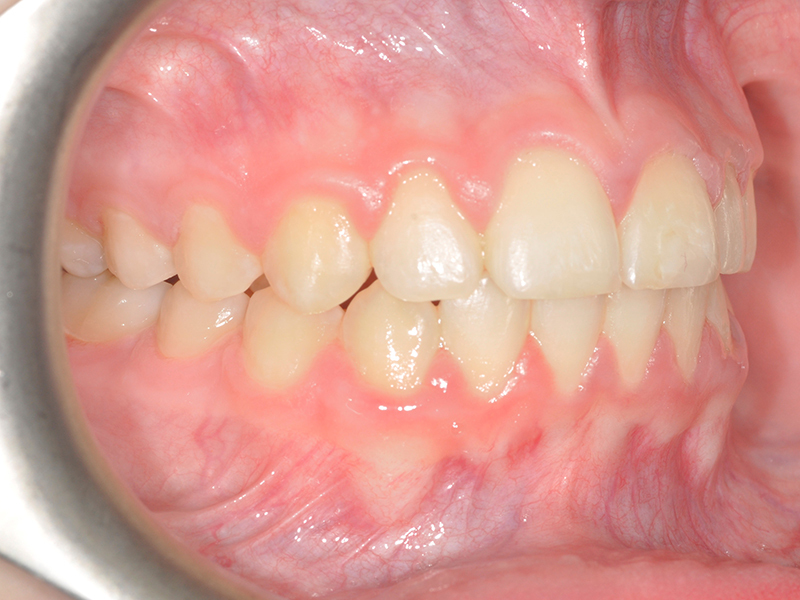 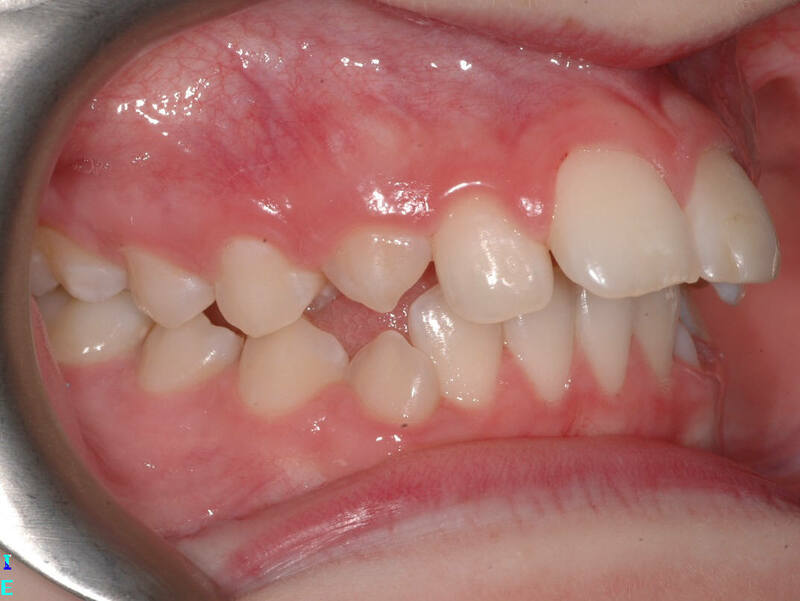 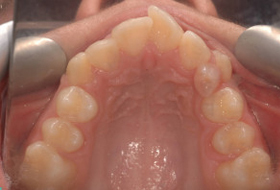 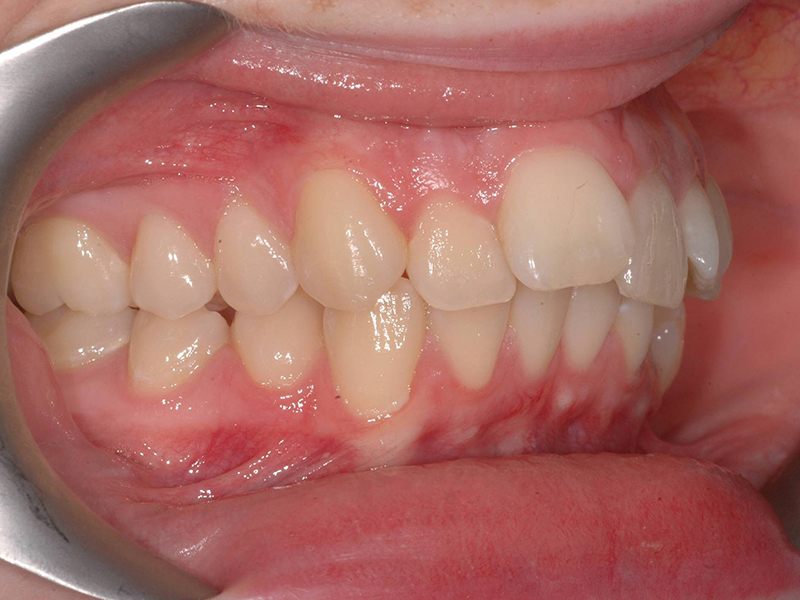 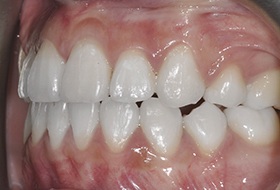 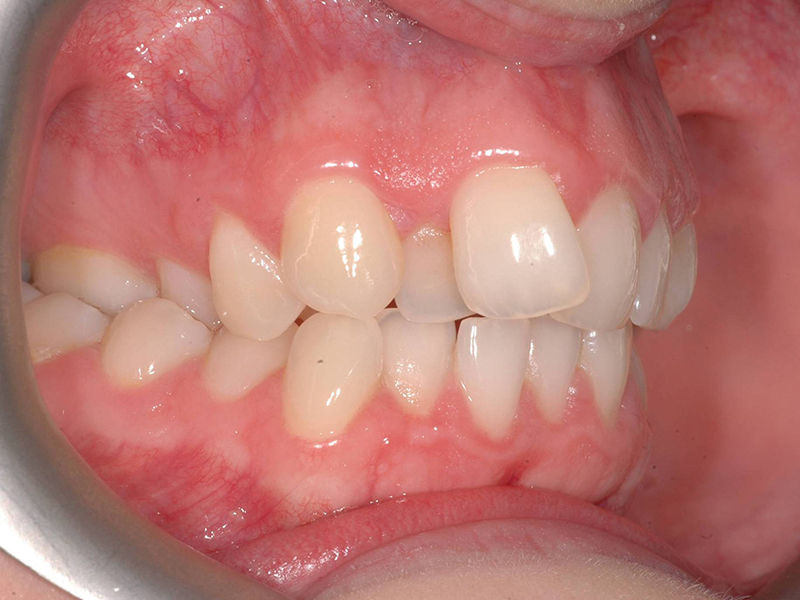 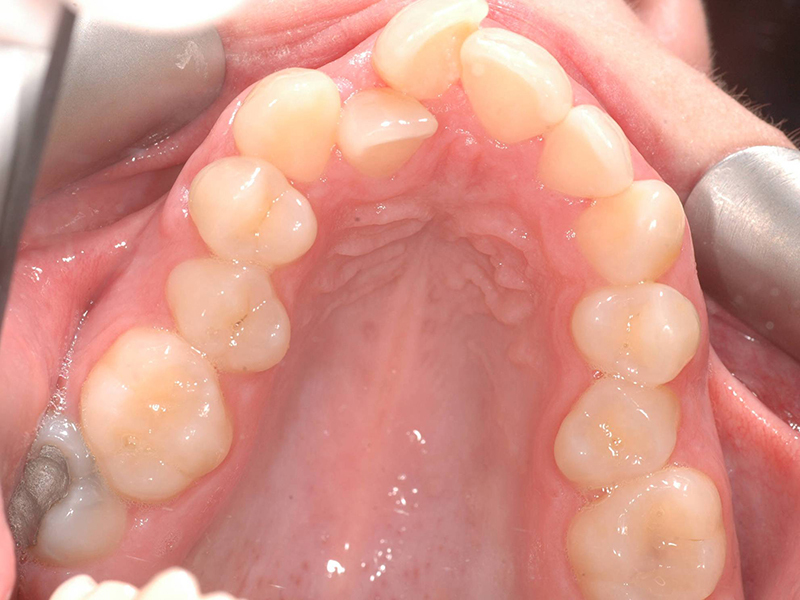 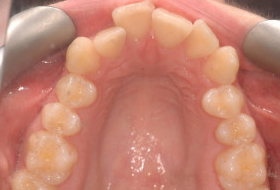 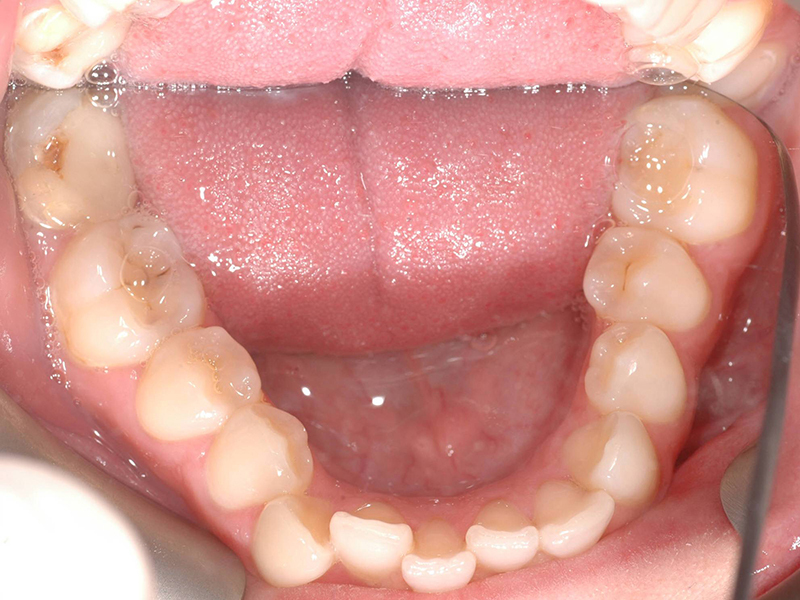 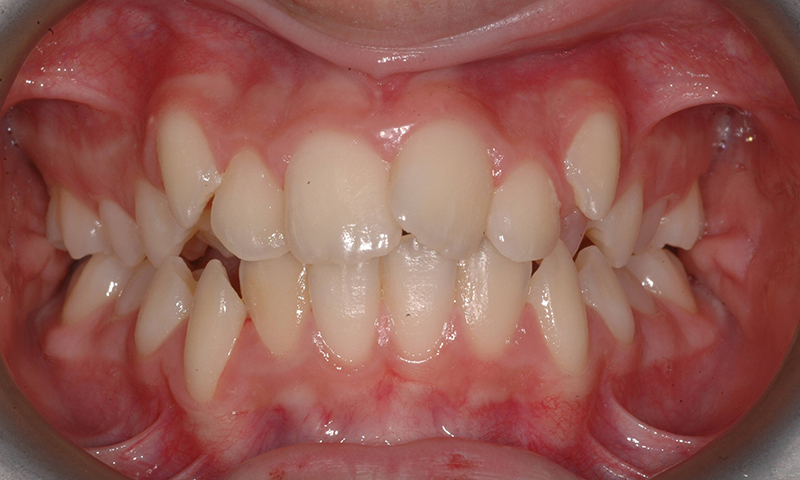 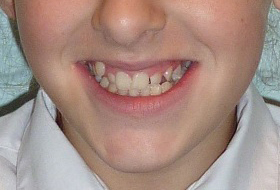 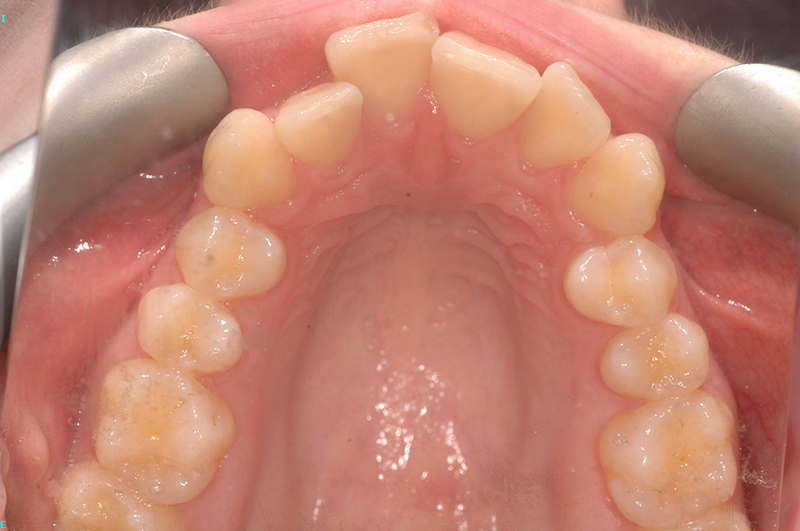 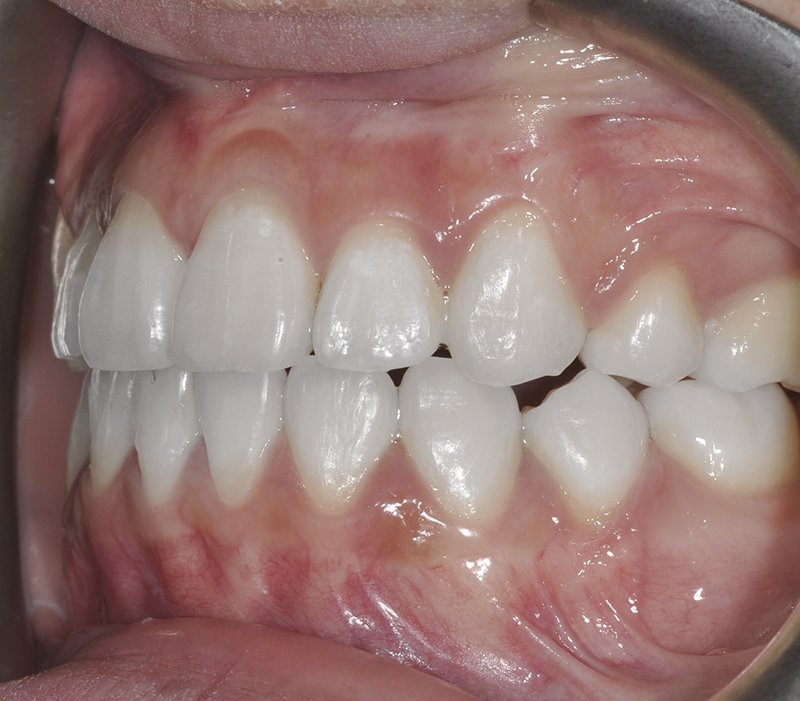 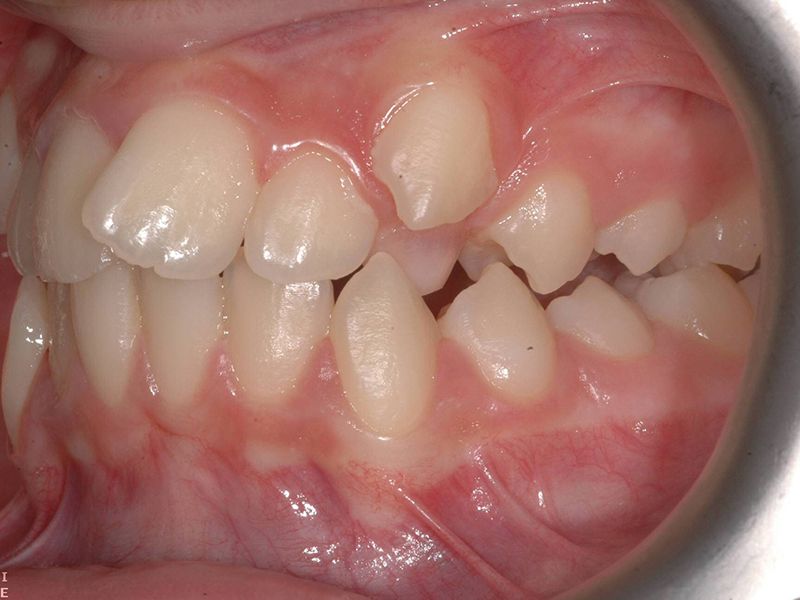 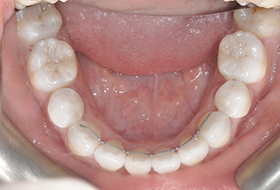 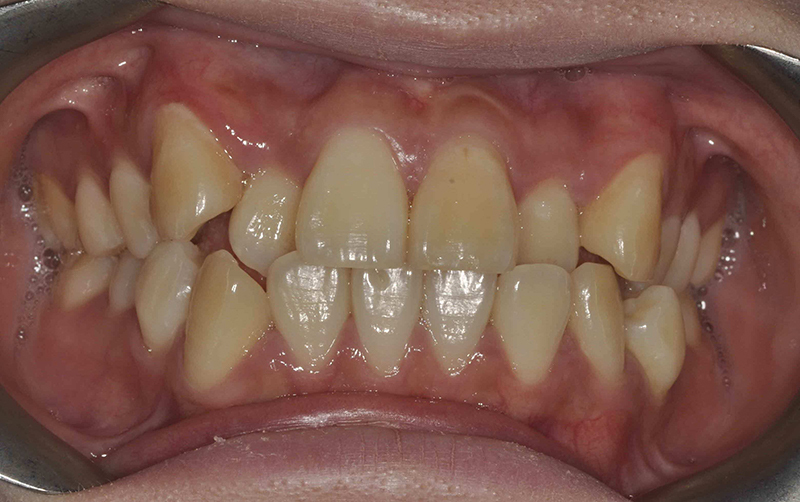 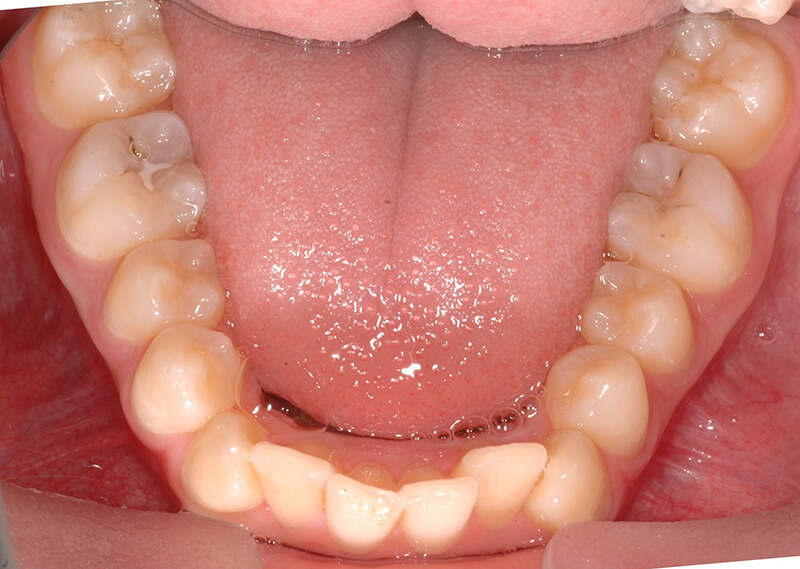 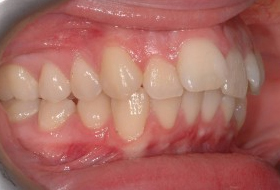 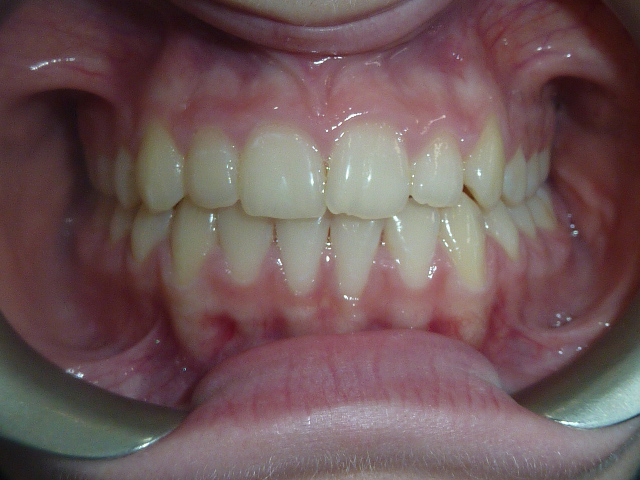 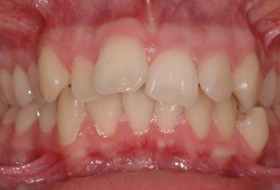 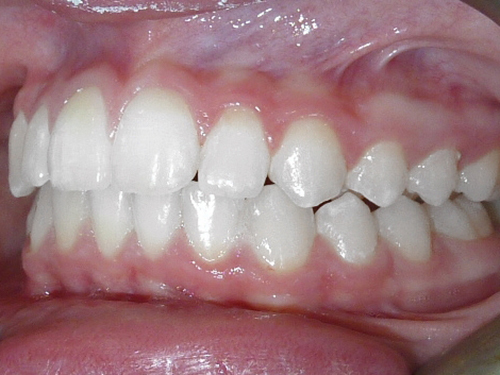 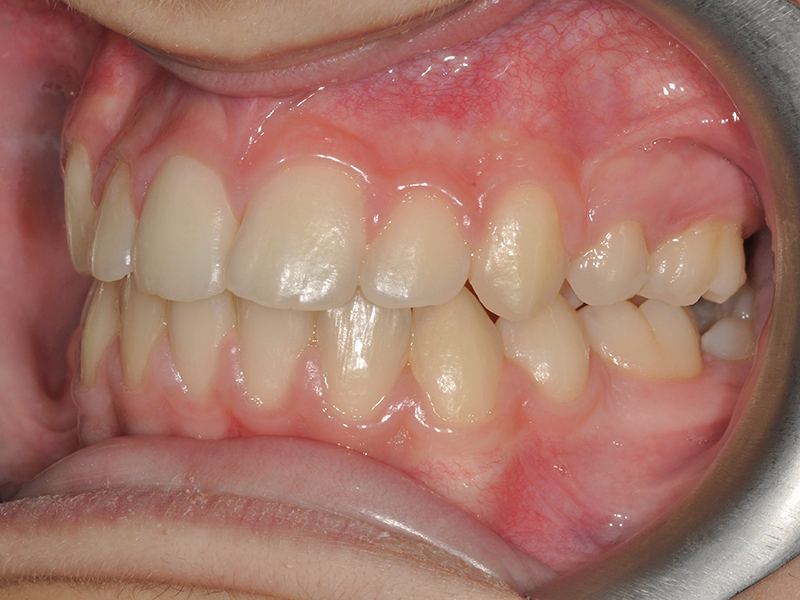 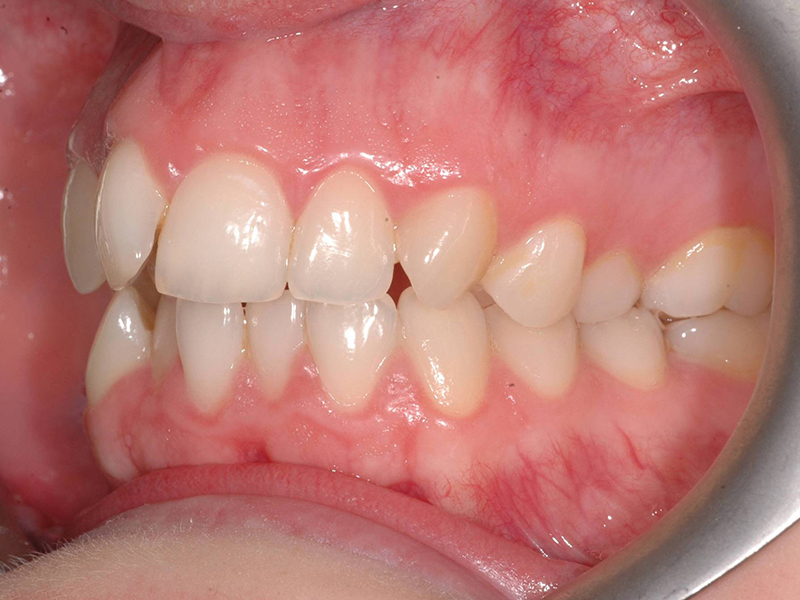 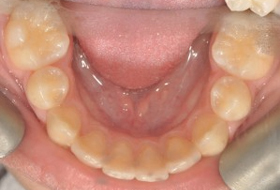 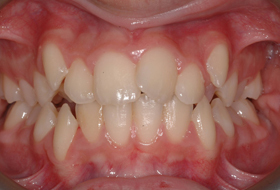 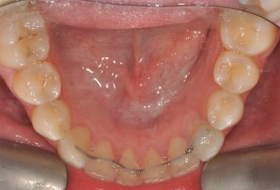 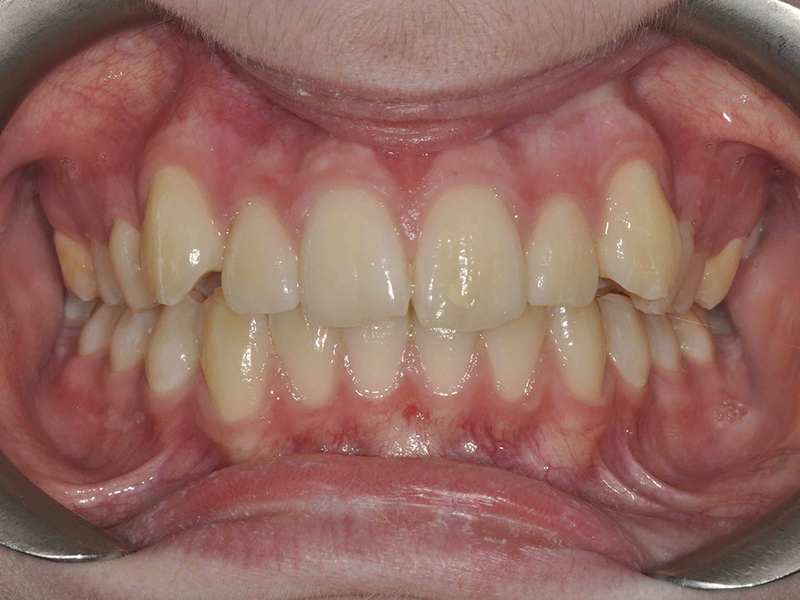 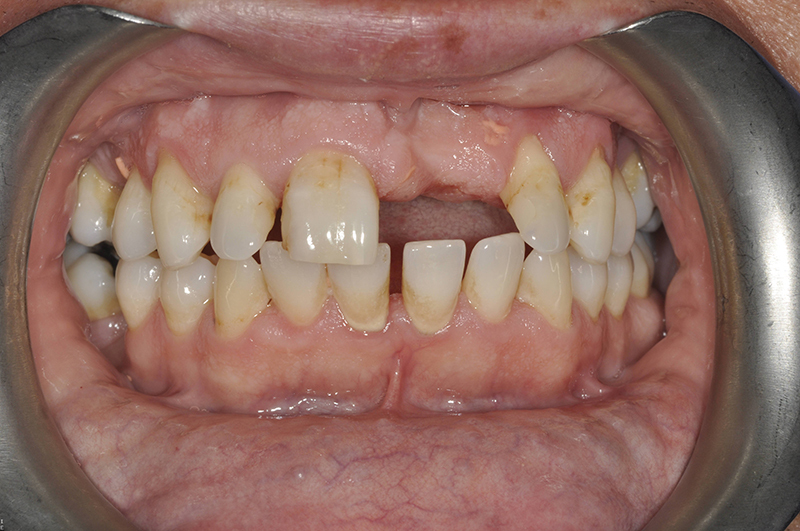 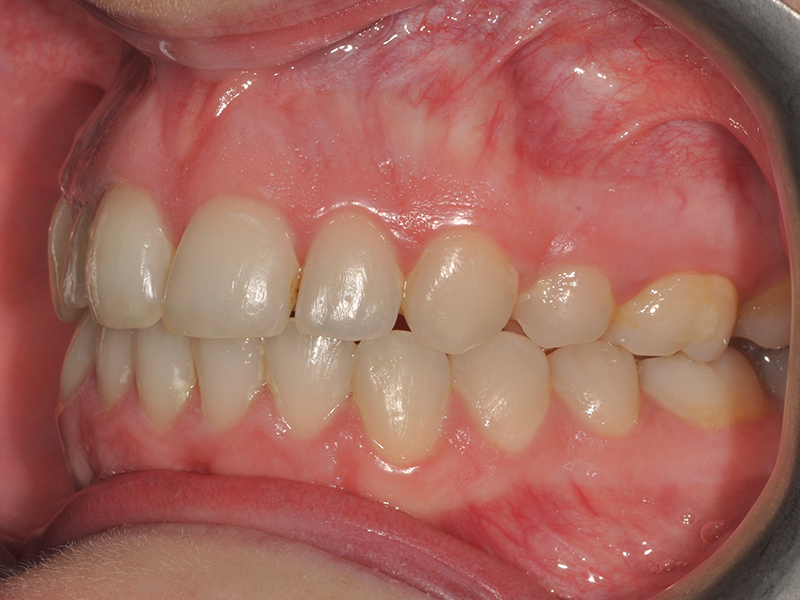 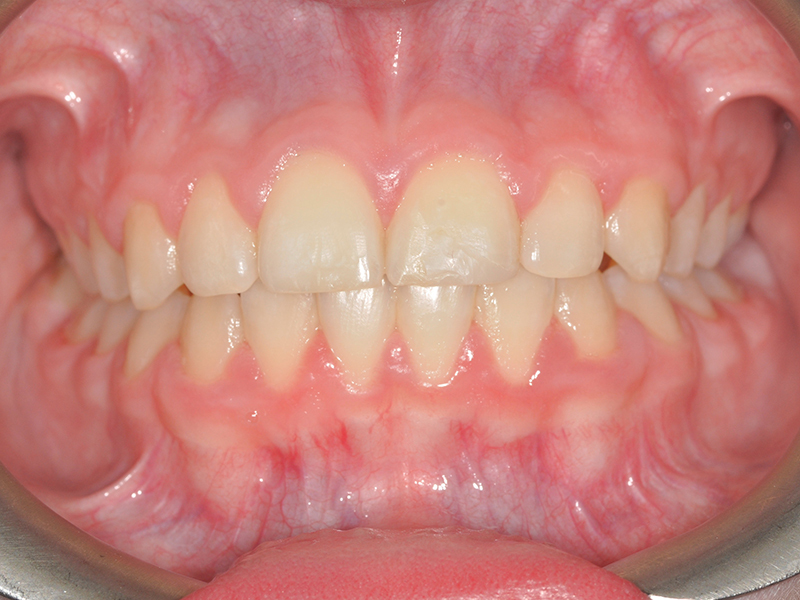 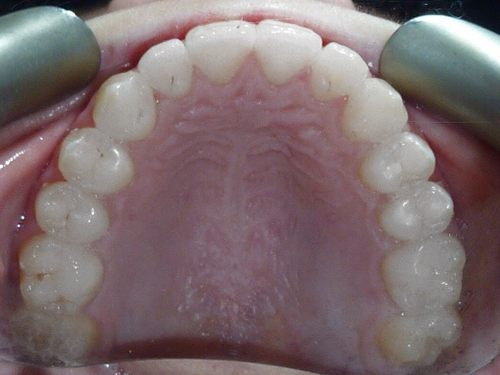 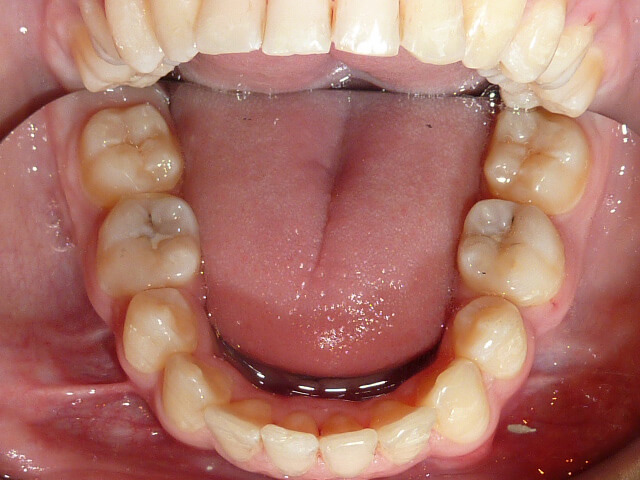 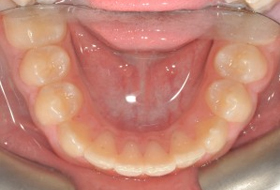 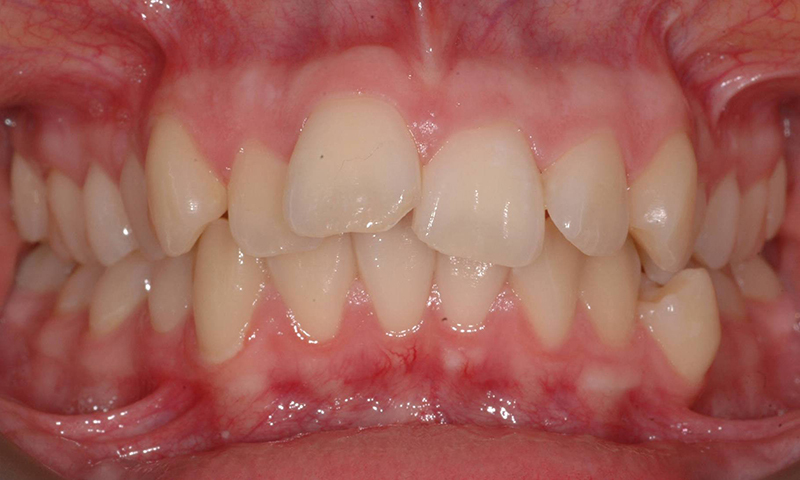 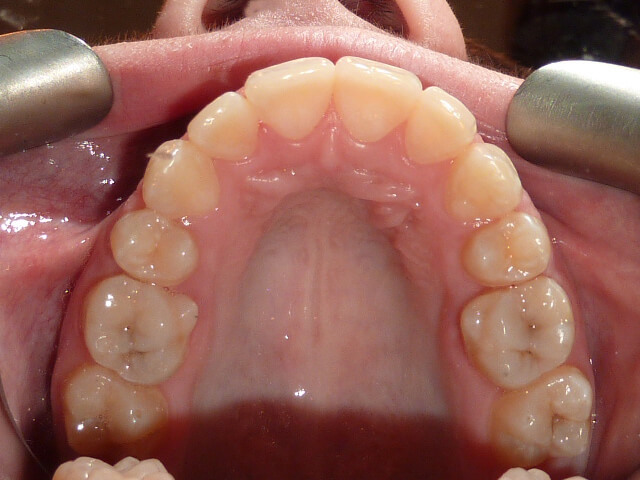 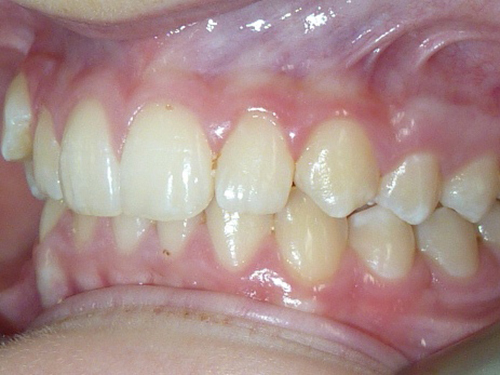 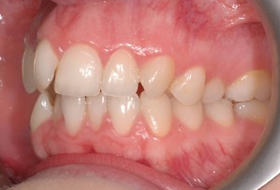 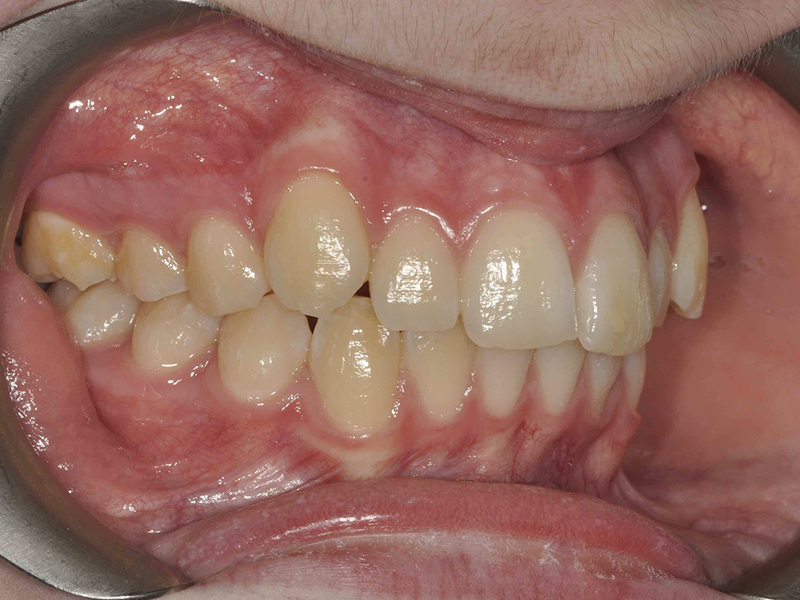 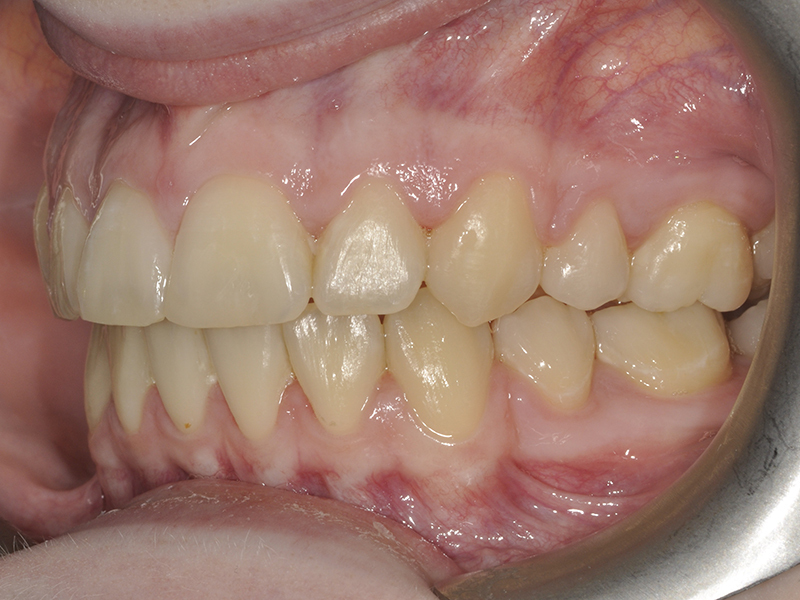 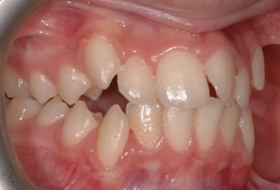 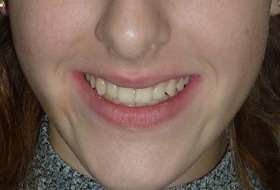 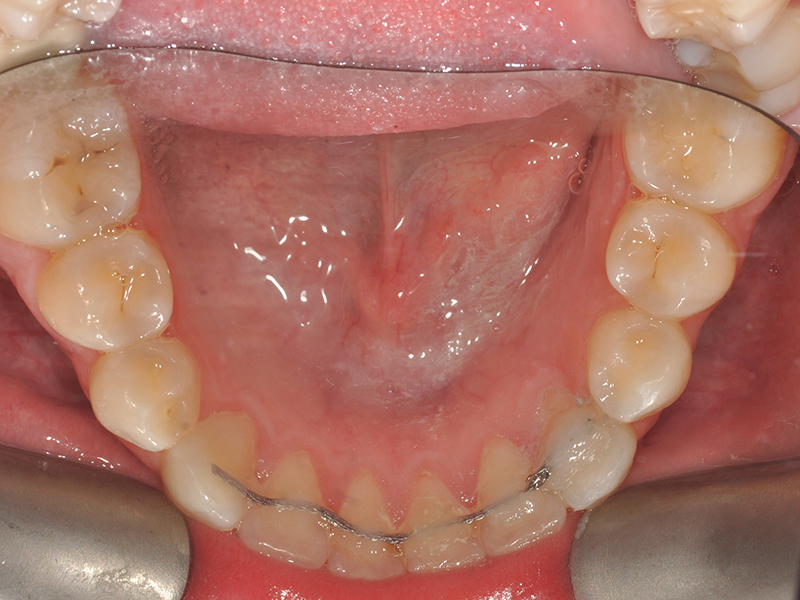 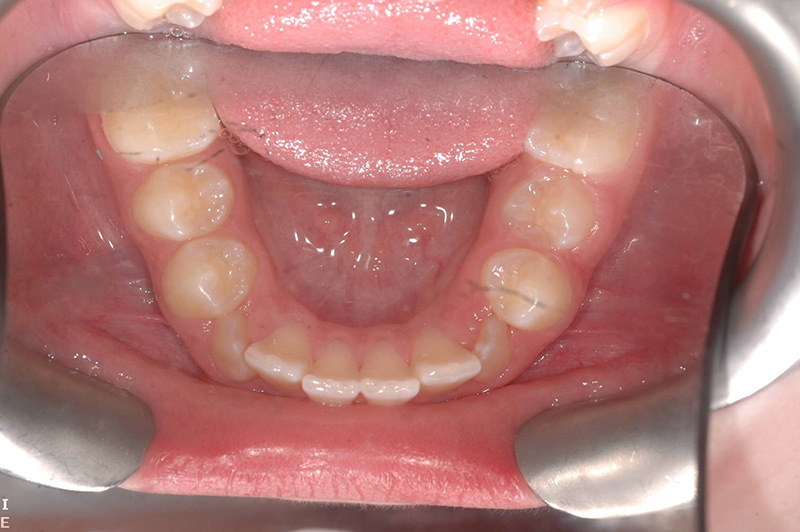 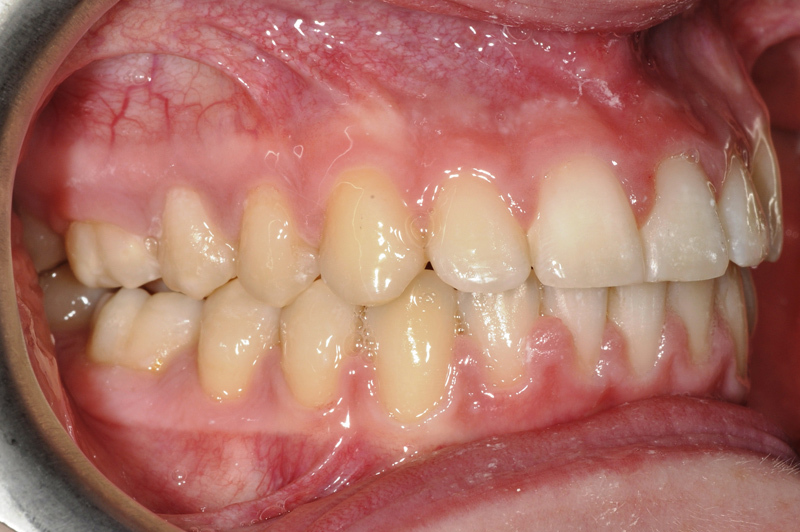 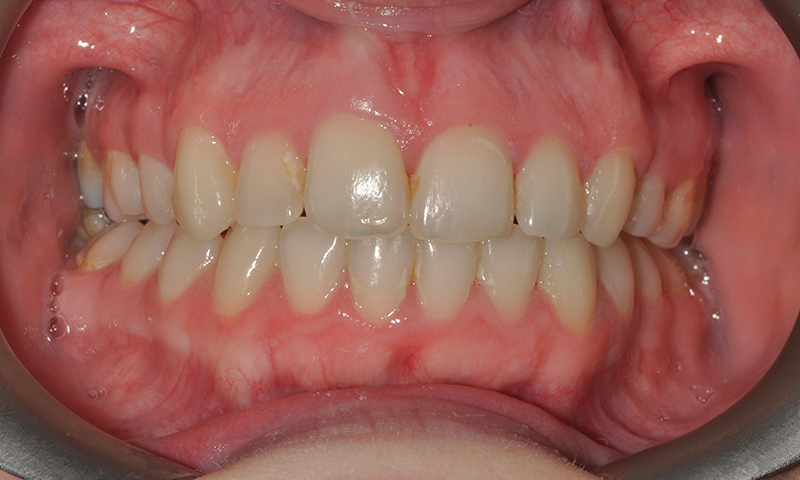 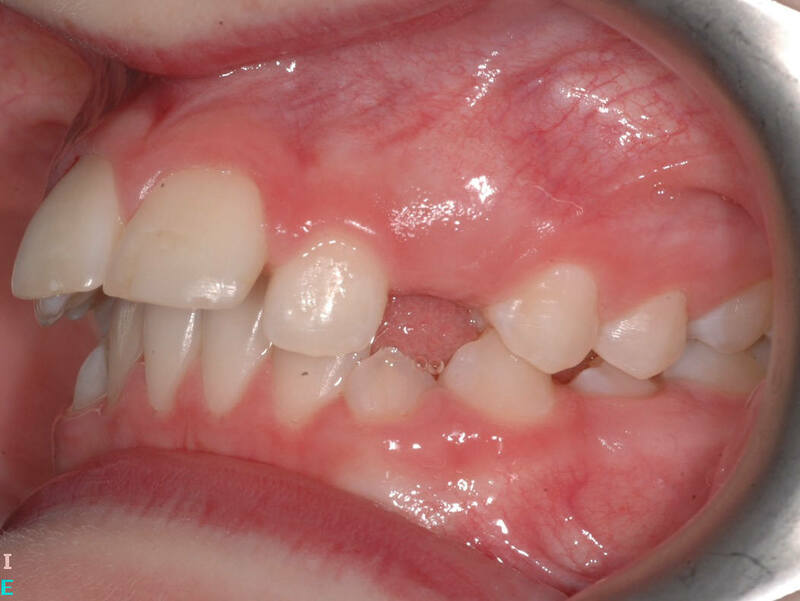 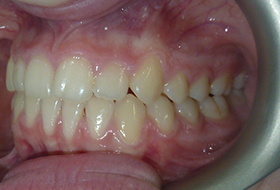 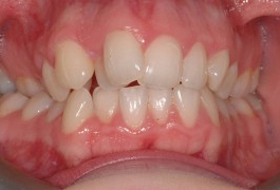 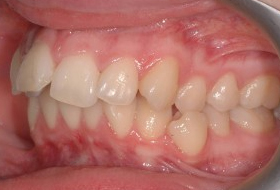 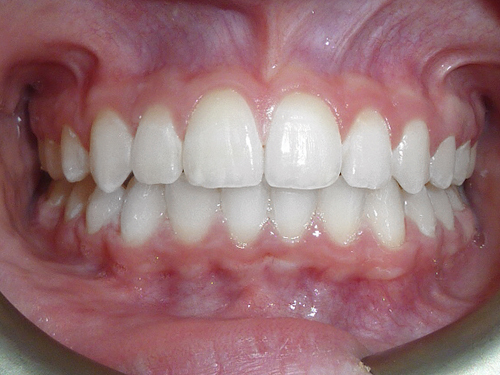 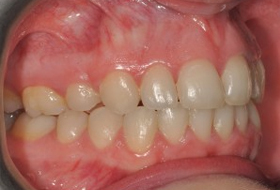 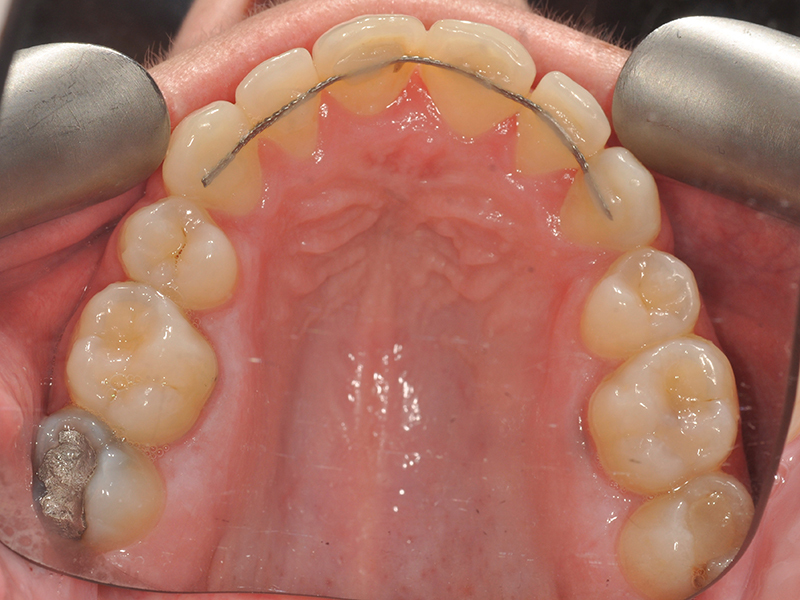 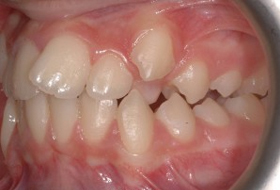 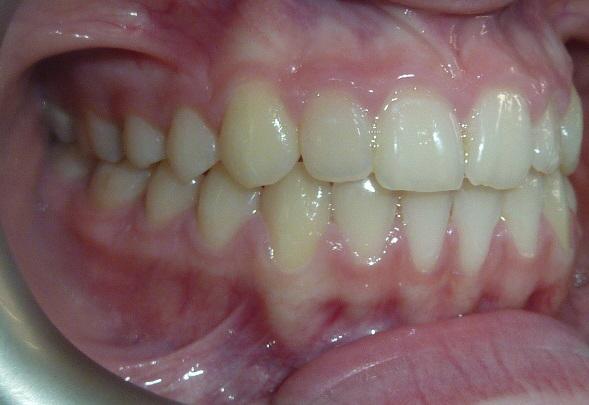 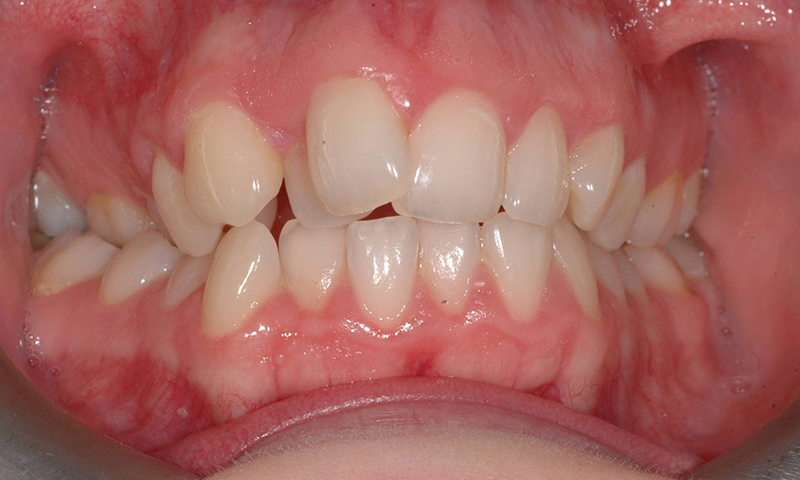 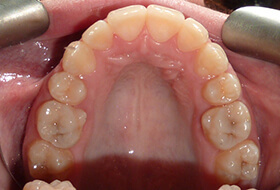 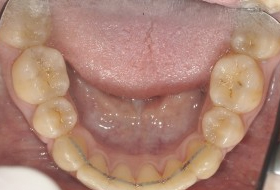 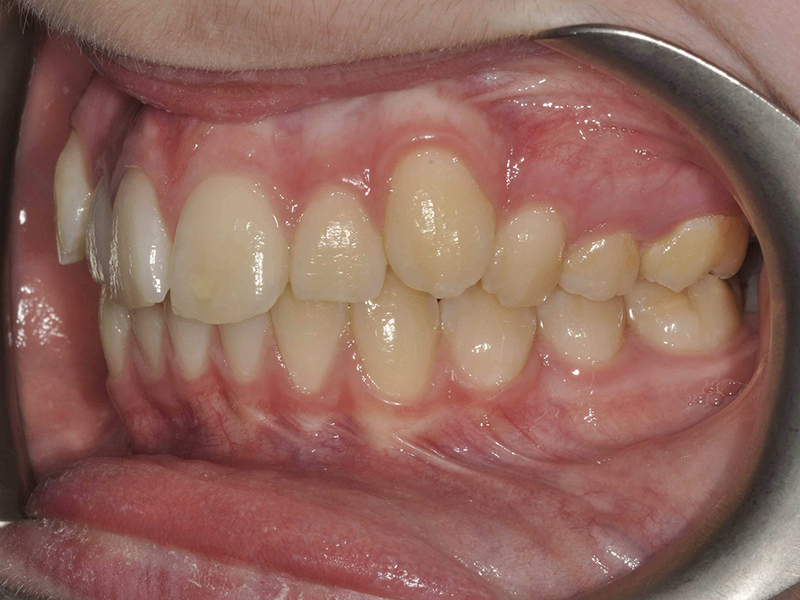 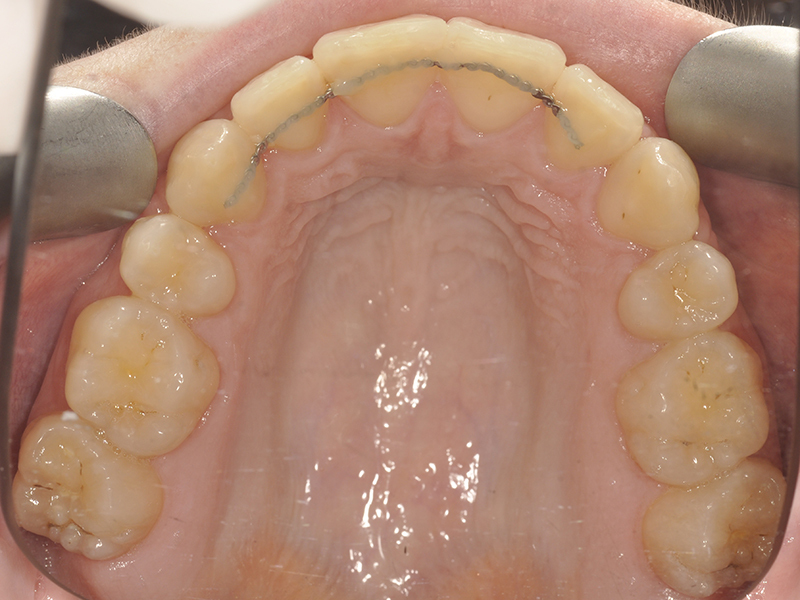 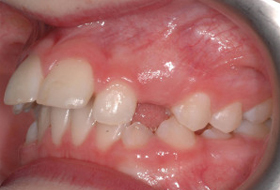 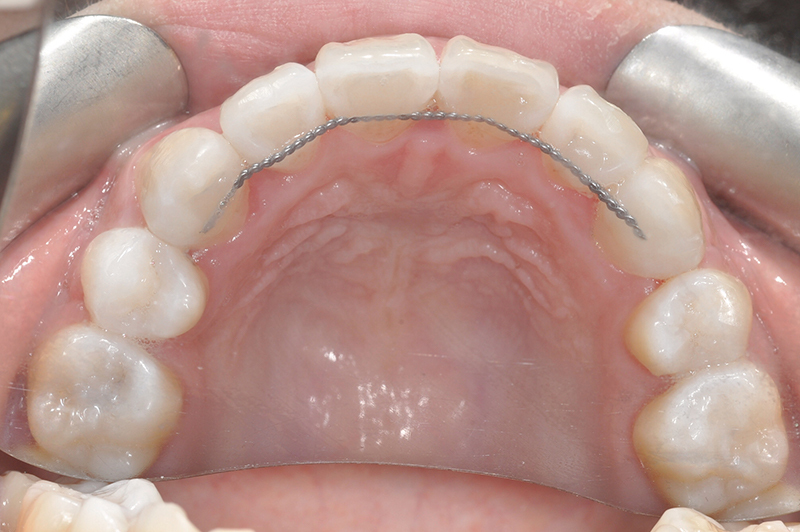 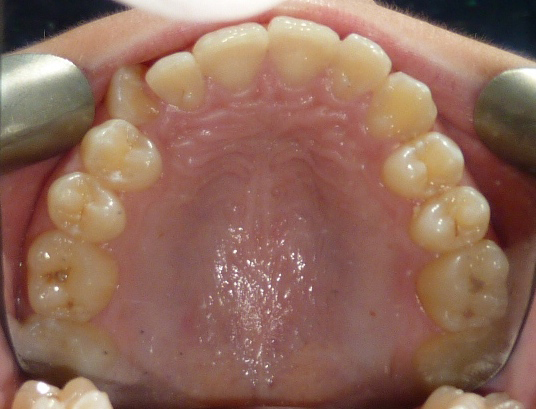 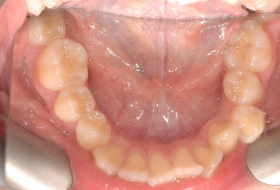 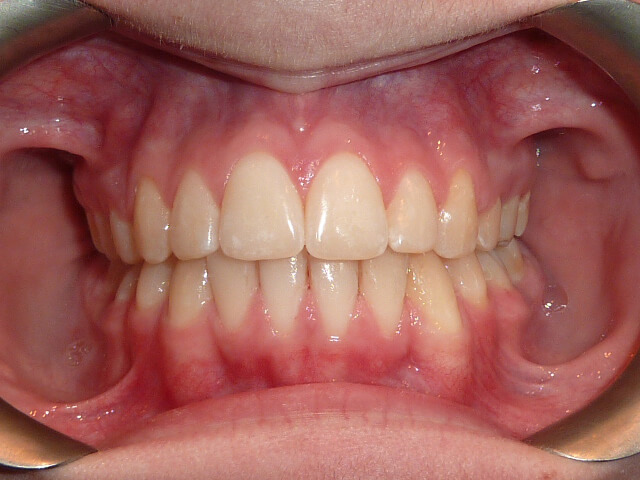 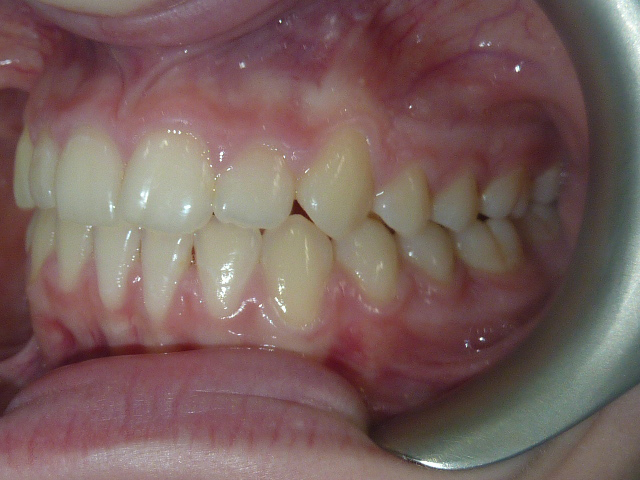 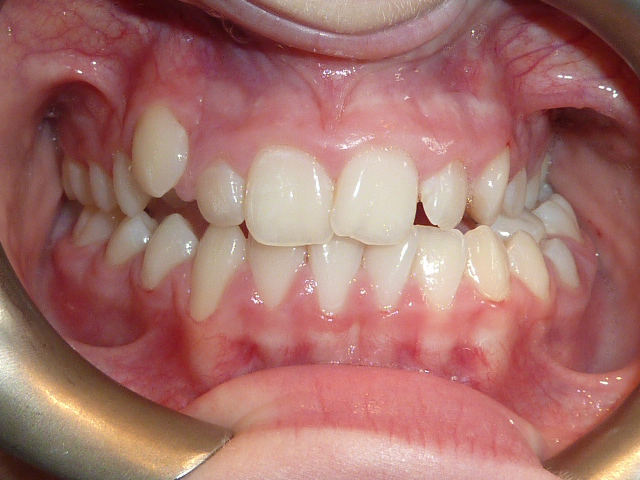 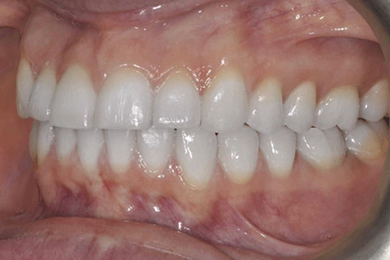 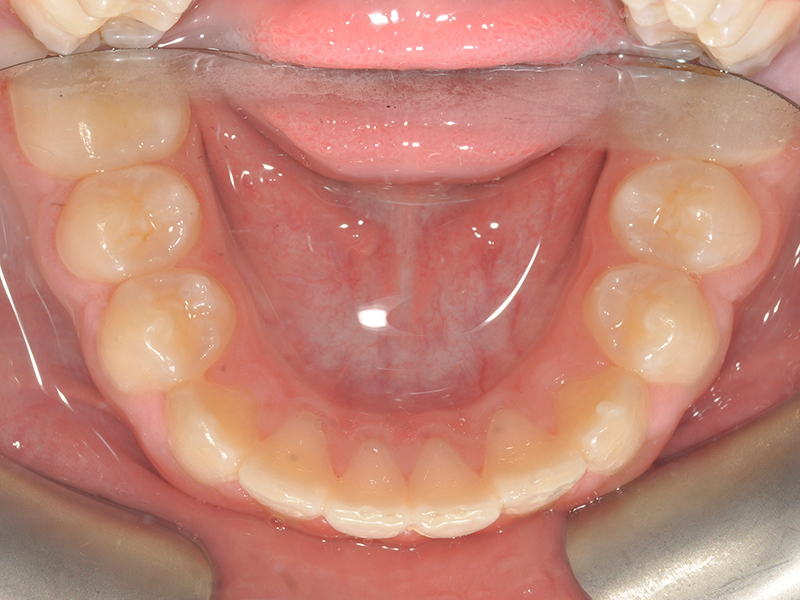 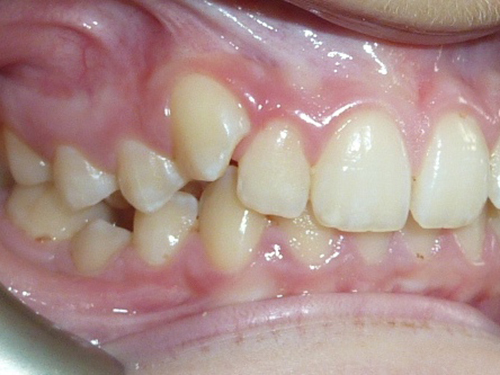 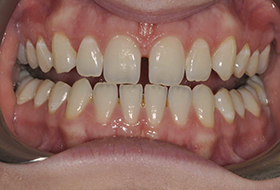 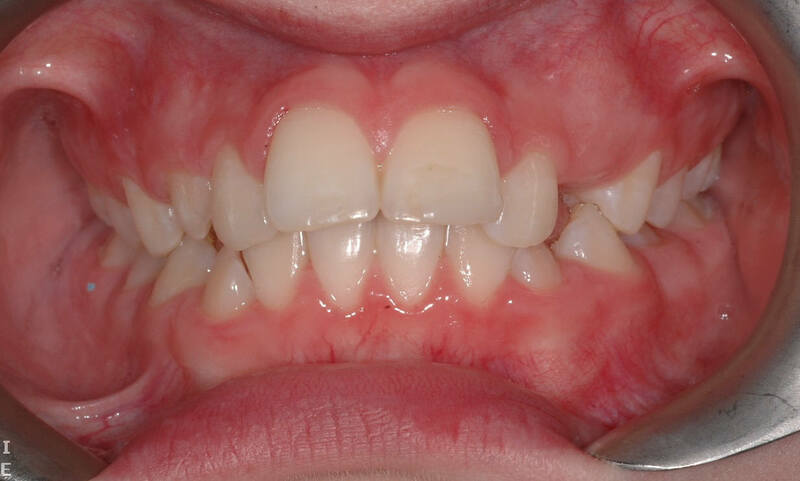 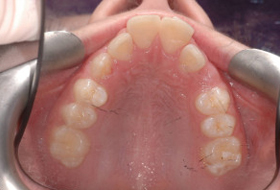 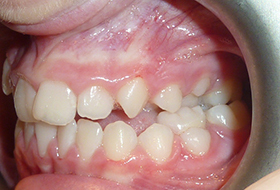 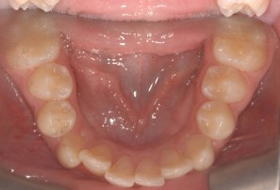 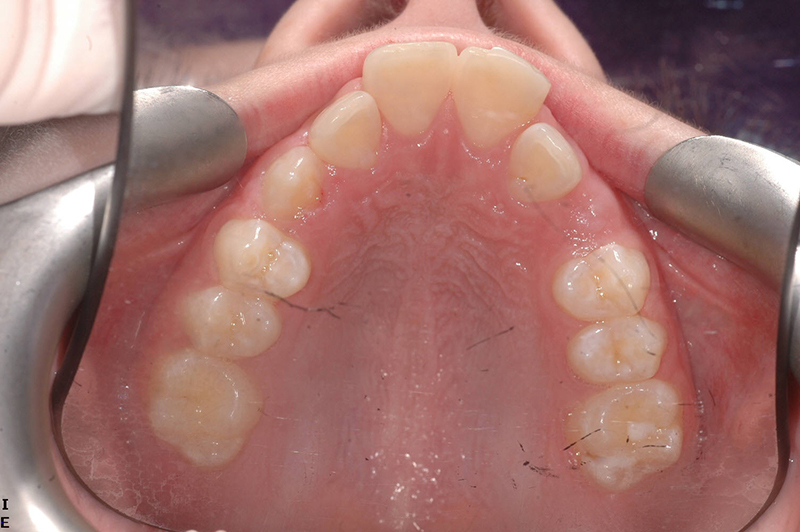 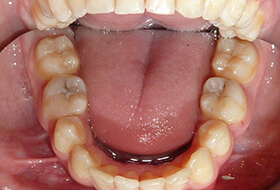 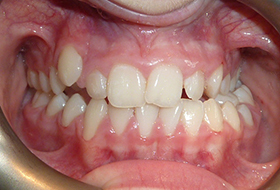 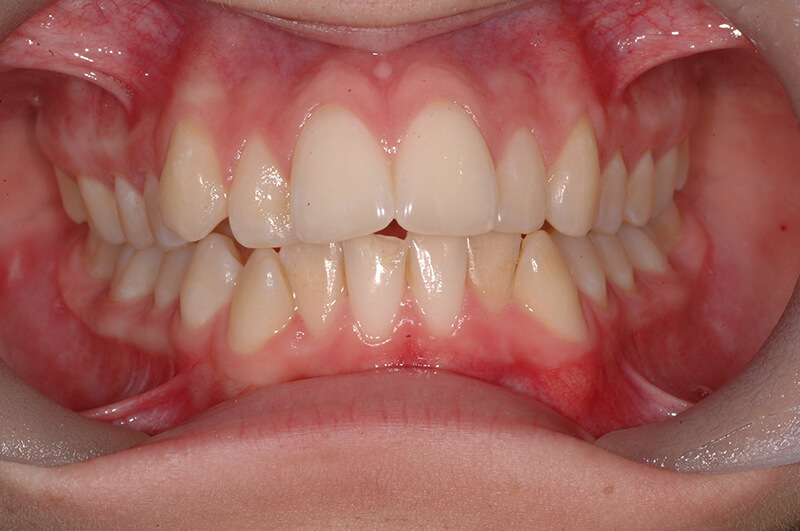 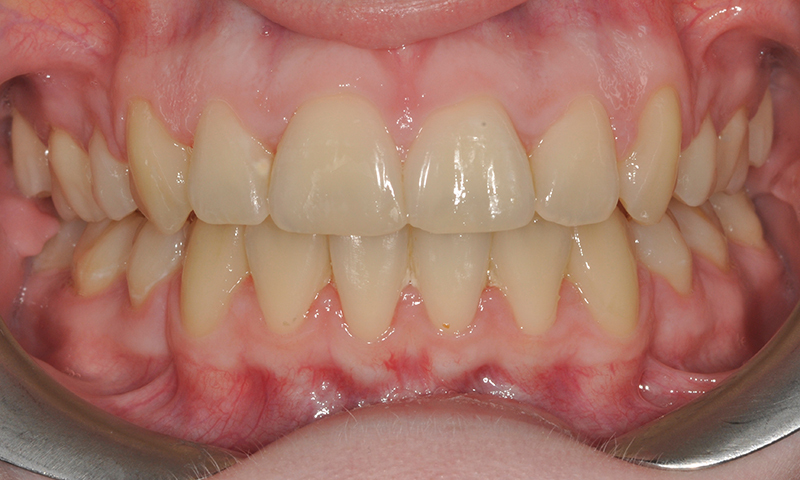 Here is an example of NHS orthodontics carried out by Allan Rennie. 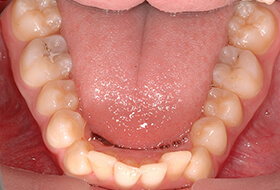 Functional removeable braces followed by fixed braces. 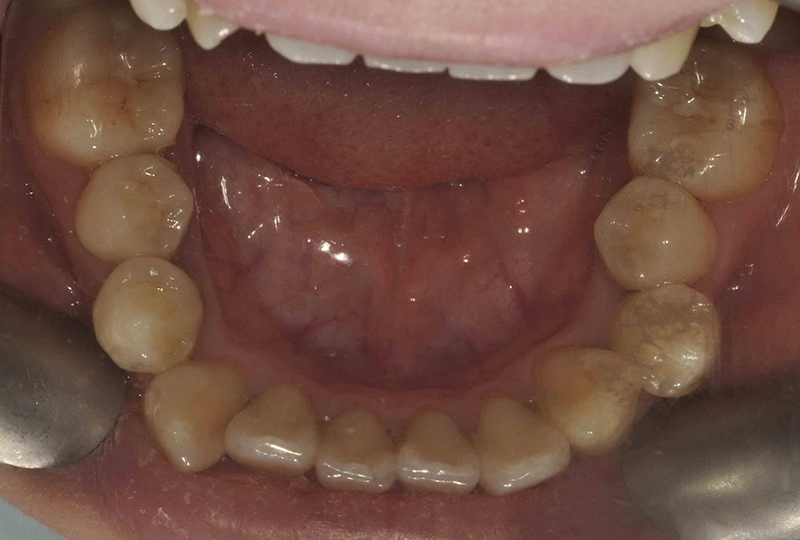 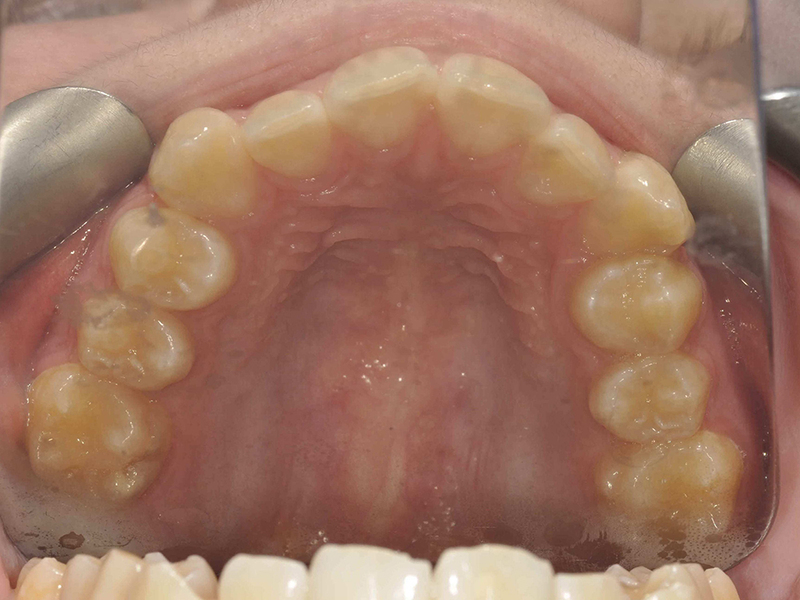 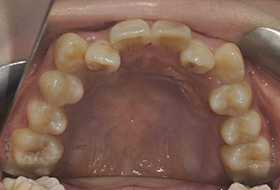 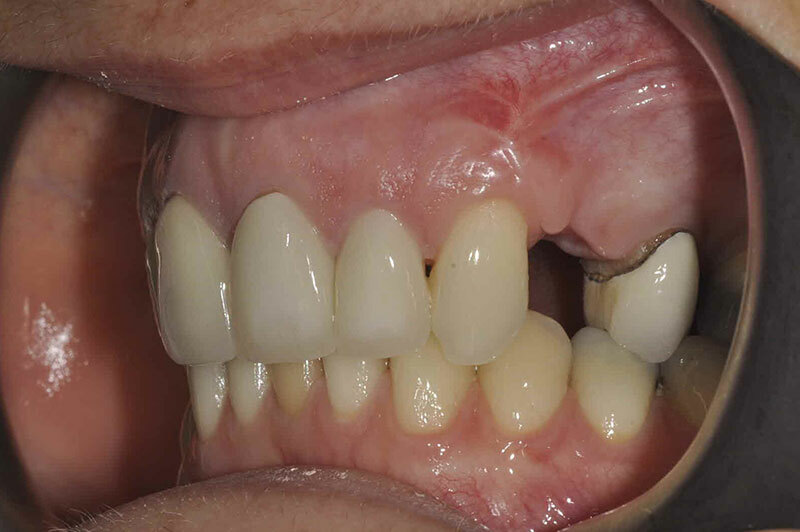 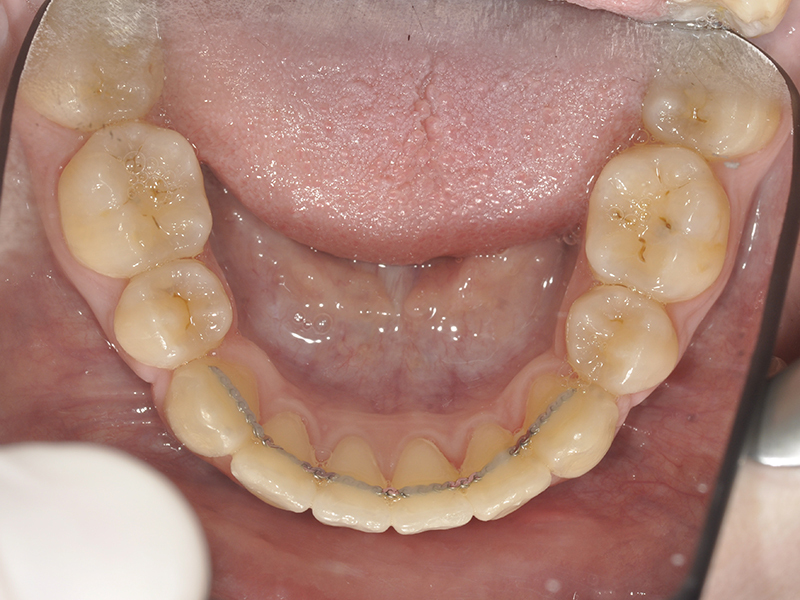 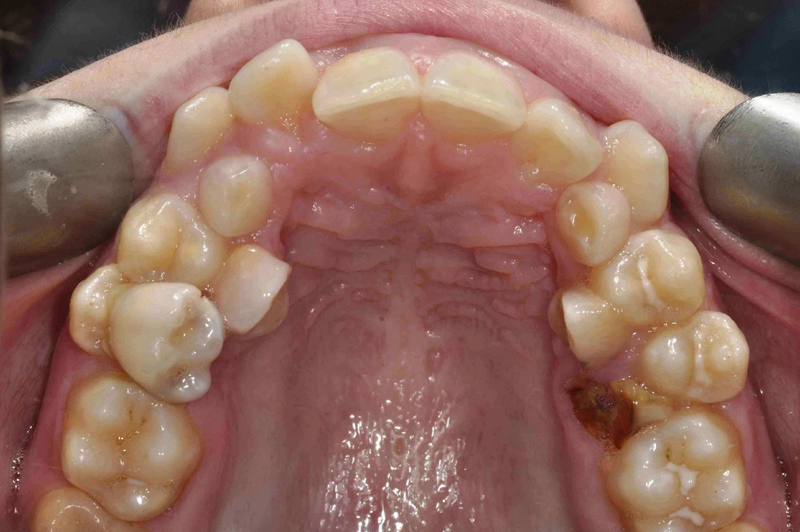 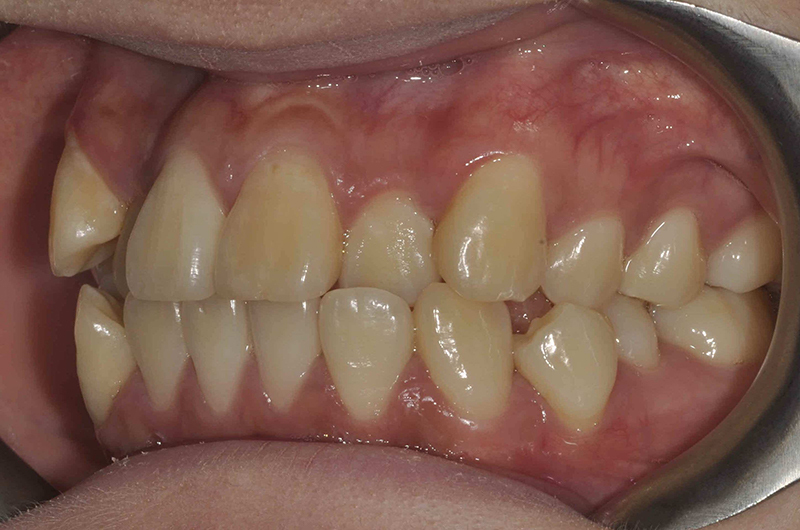 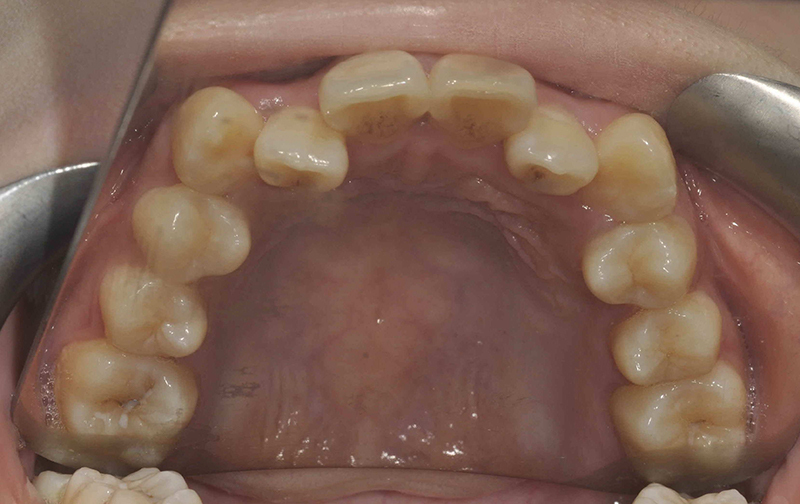 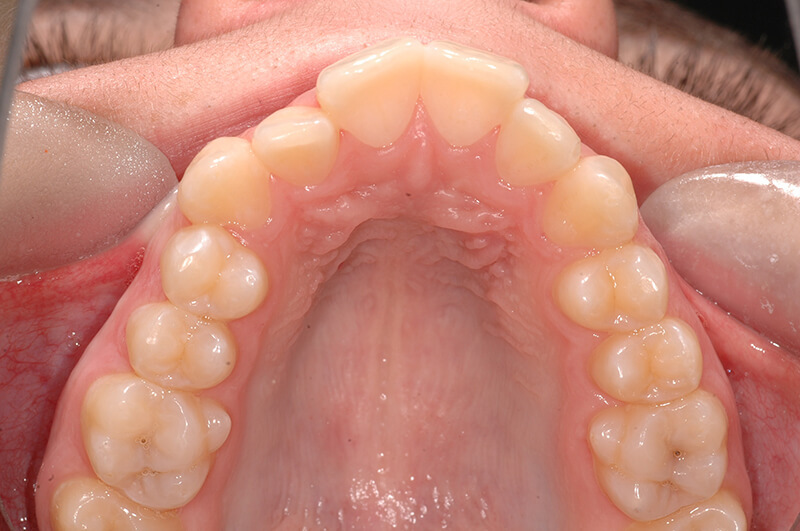 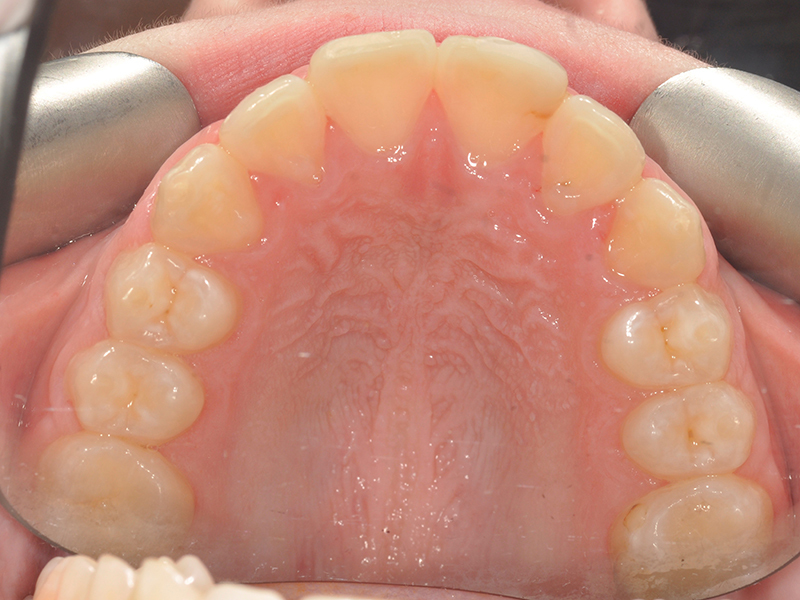 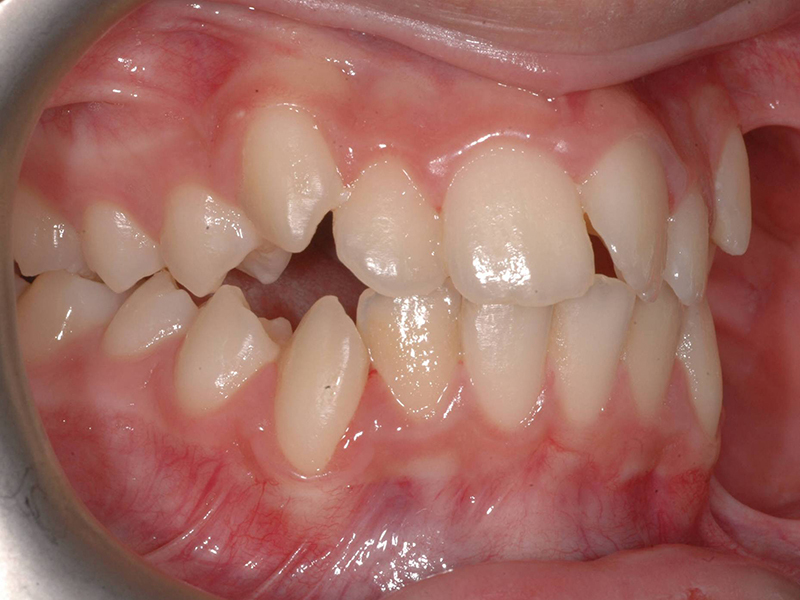 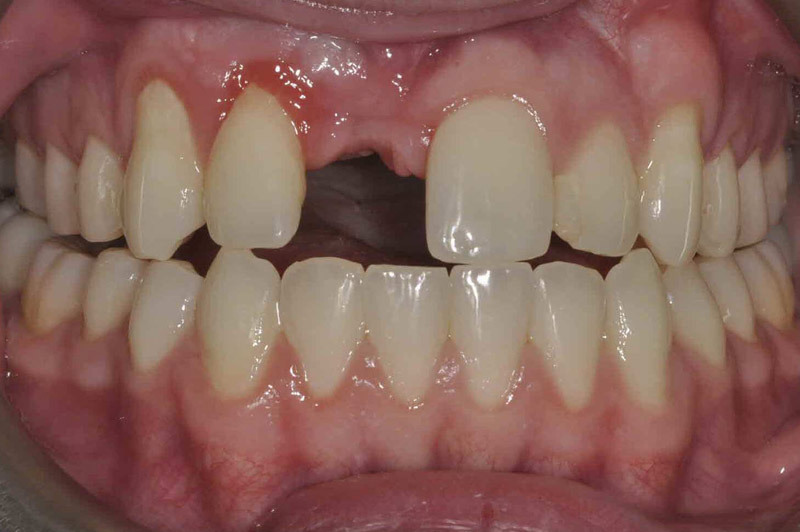 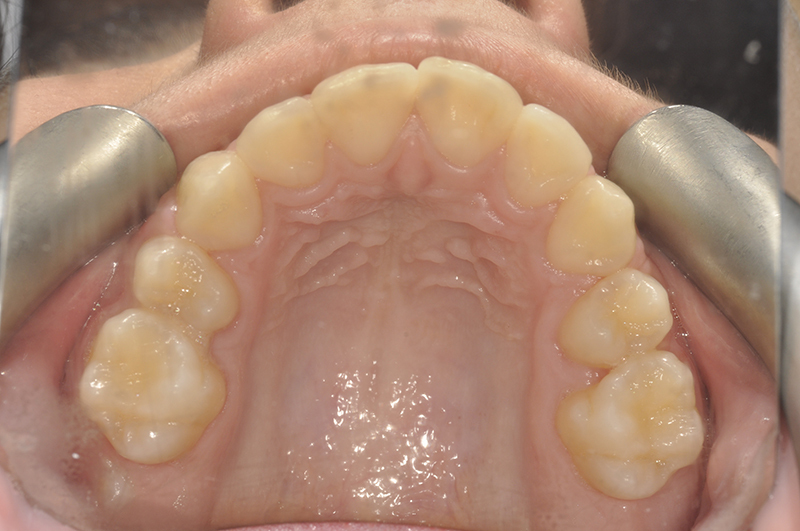 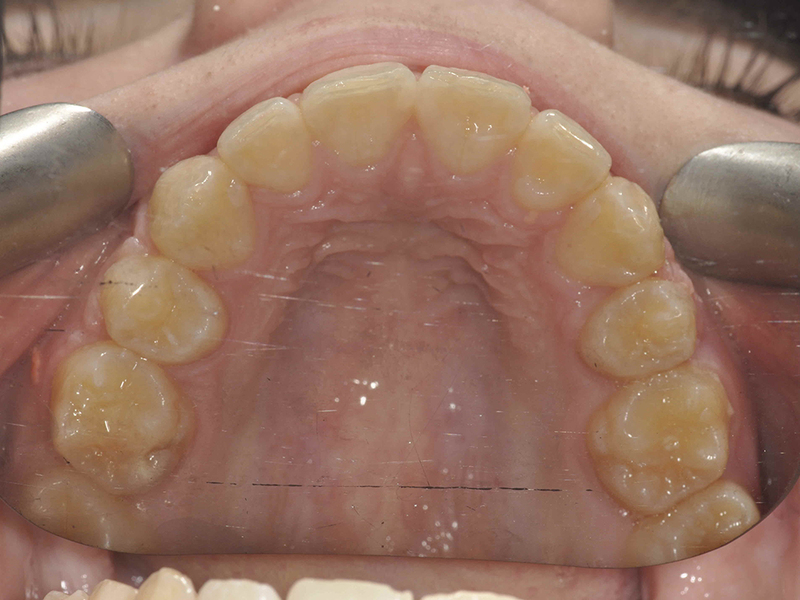 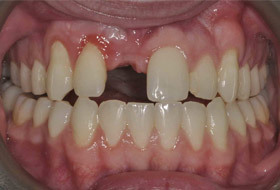 This treatment allowed us to reduce the patient’s large overjet without having to extract any teeth. 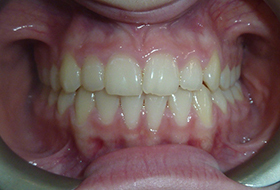 Conventional orthodontics done in 18 months by Allan Rennie. 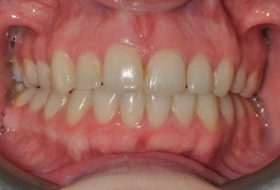 Upper and lower metal braces for six months followed by Optident Whitening. 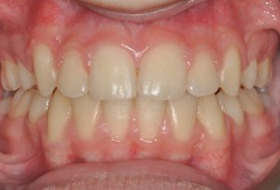 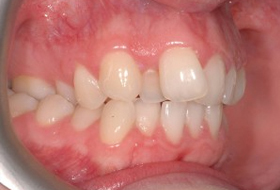 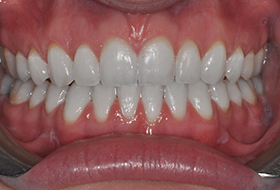 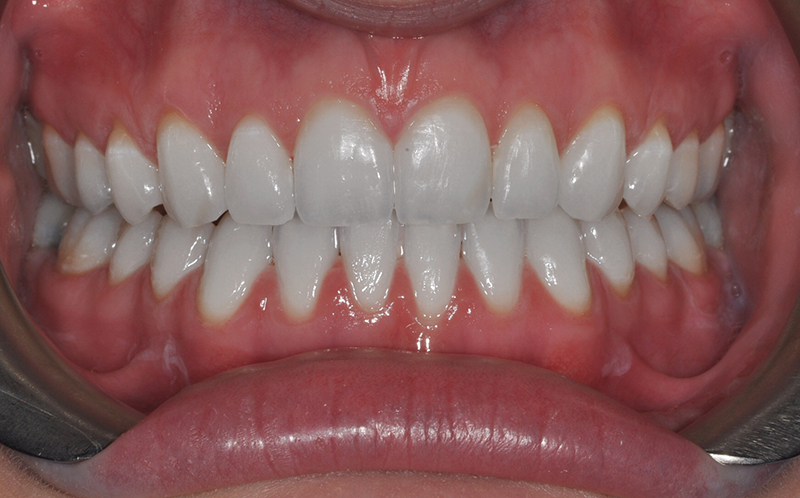 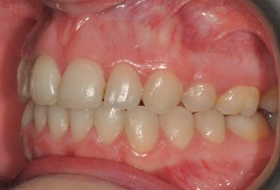 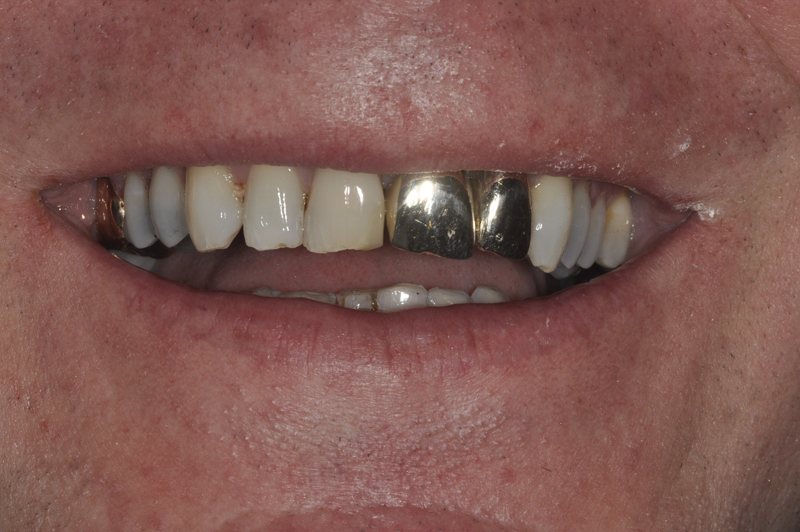 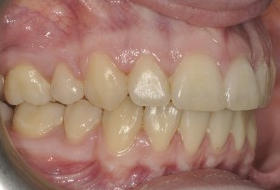 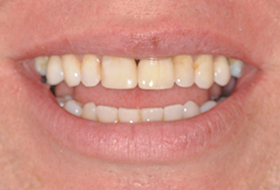 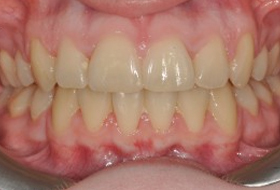 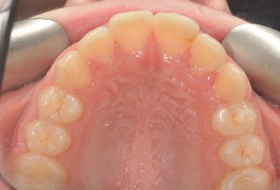 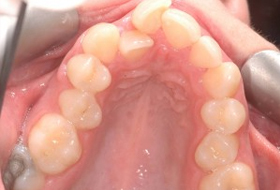 Six month metal braces followed by tooth whitening to close an upper front space. 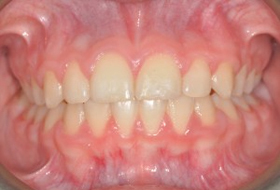 Fixed orthodontics in just over a year followed by teeth whitening. 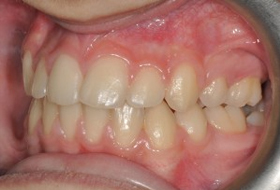 Treatment completed by Allan Rennie. 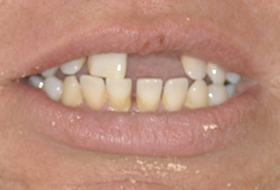 This patient presented with upper spacing. 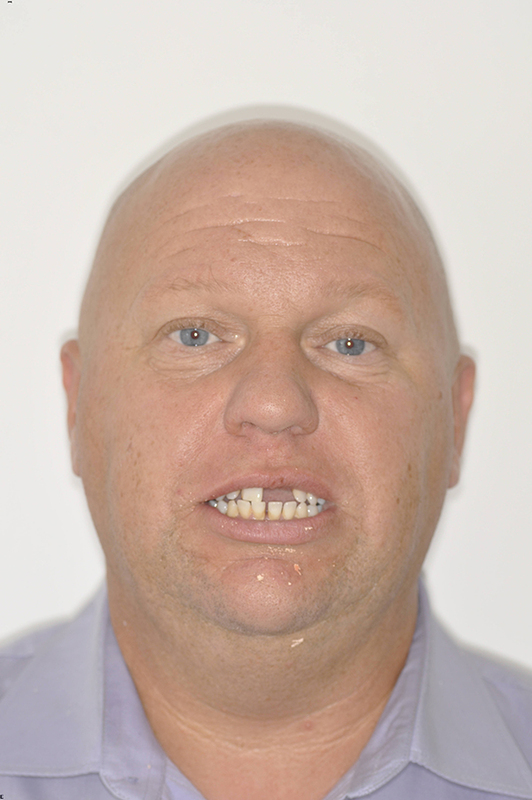 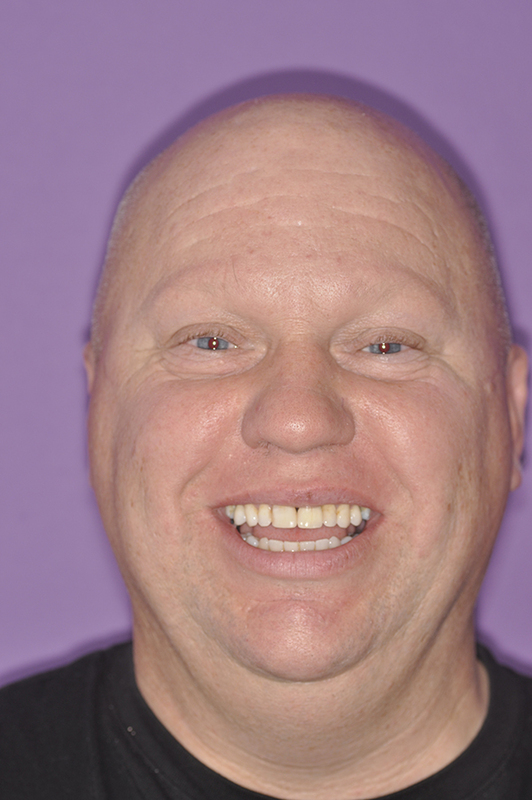 The space was far too large for a single implant so we opted to use braces first. 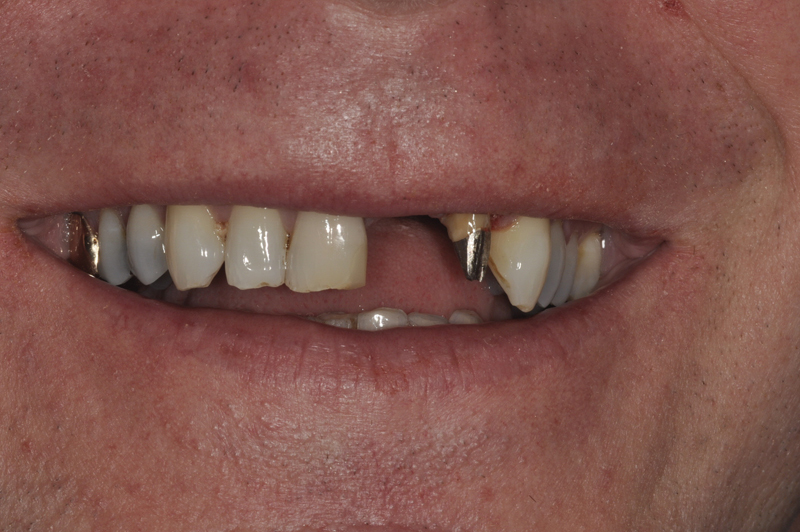 We used Six Month Smiles and then placed a nice implant in the upper left front space. 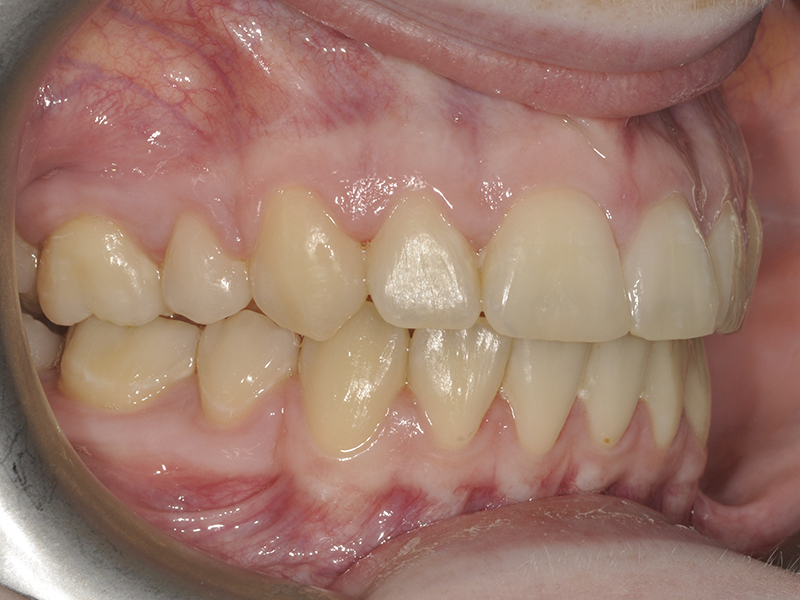 All work done by Allan Rennie. Resin bonding done by Allan Rennie on the worn front four teeth to increase the length. 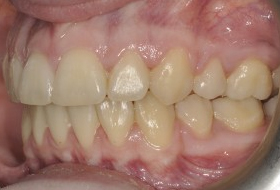 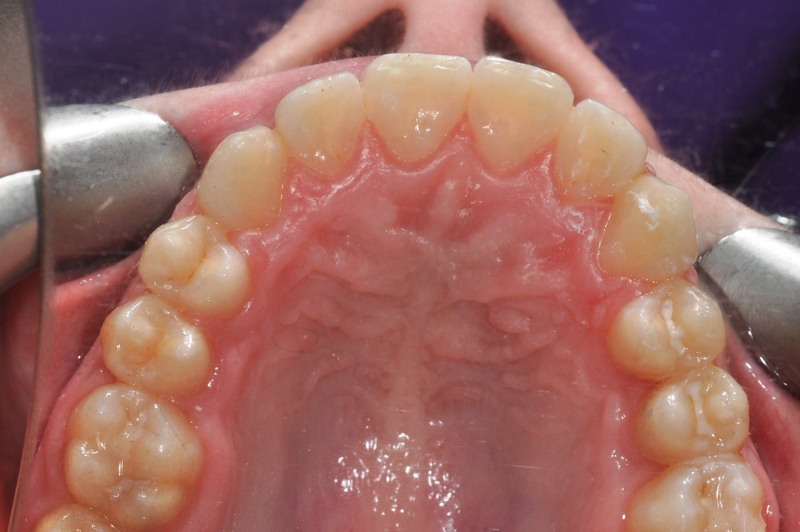 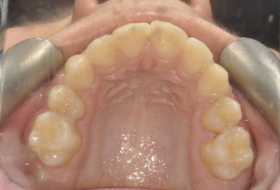 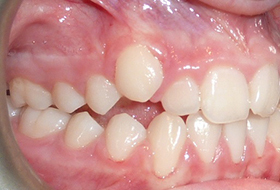 Resin bonding on two front teeth to close a space. 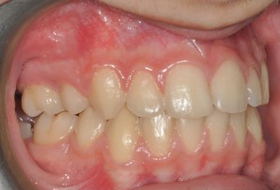 Work done by Allan Rennie.